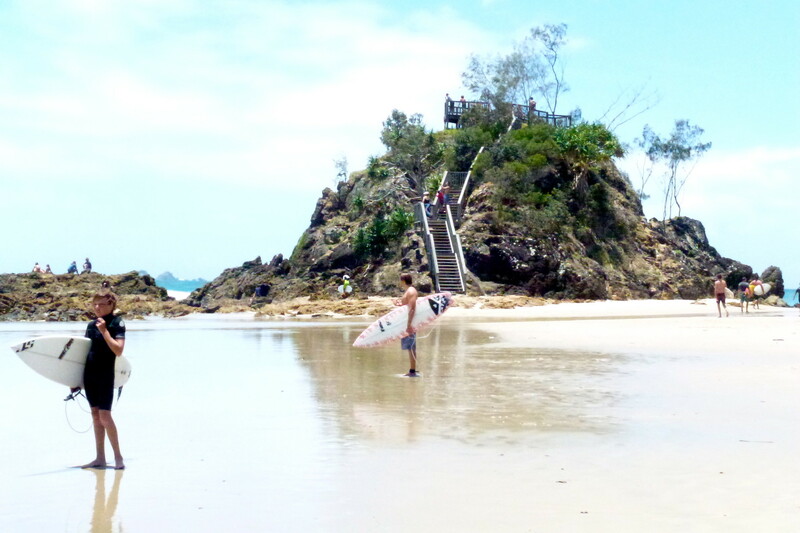 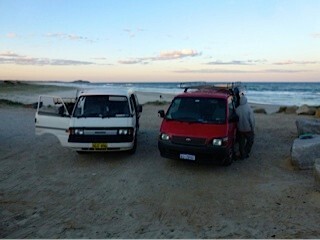 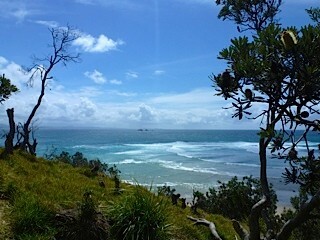 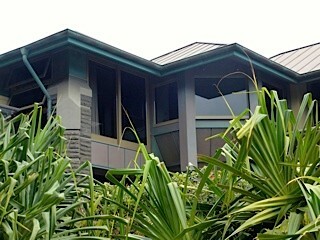 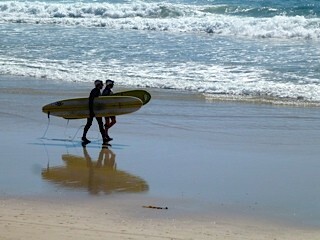 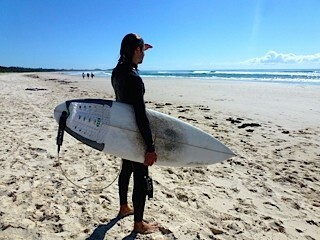 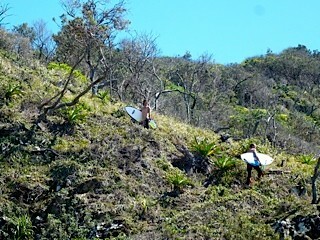 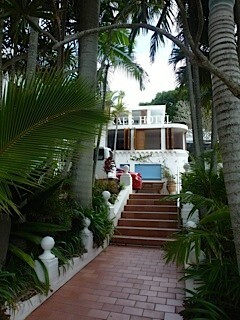 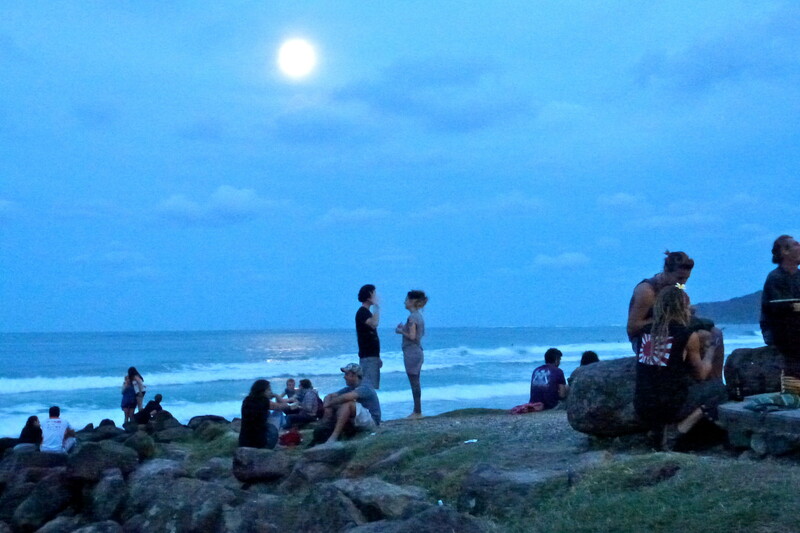 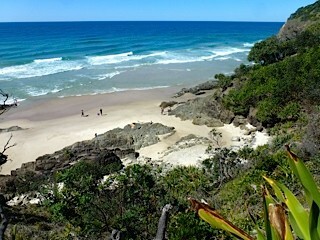 After 2 weeks in Sri Lanka, I flew to Australia to visit my son for 2 weeks in Byron Bay- a surfer's paradise! 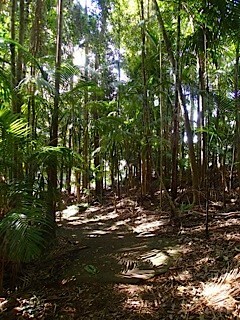 Keep scrolling and you'll get an idea of my personal and visual impressions of this place. 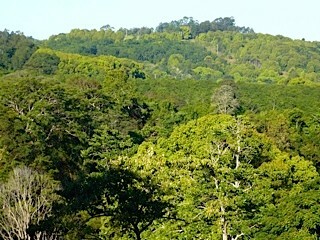 It's completely in the woodlands yet only 10 minute drive into town. 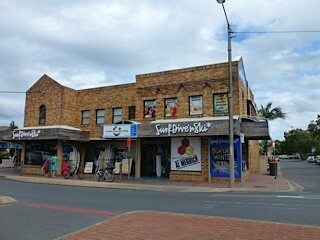 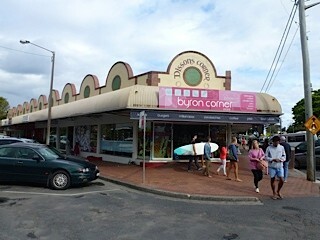 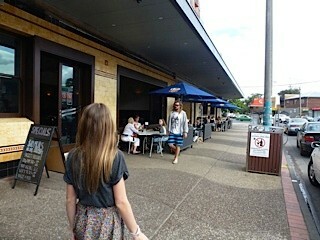 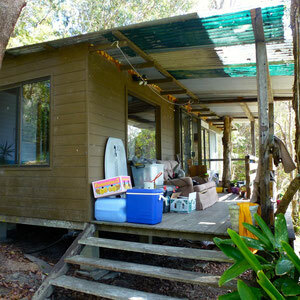 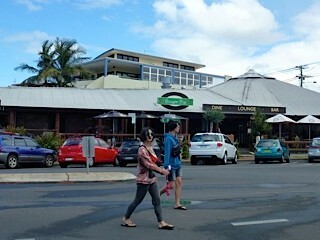 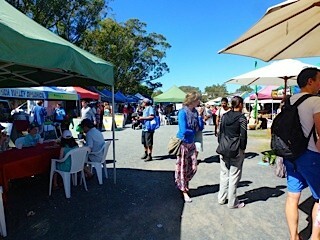 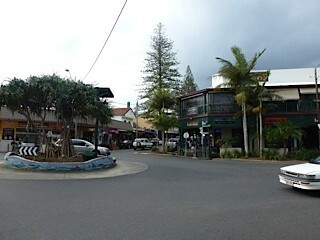 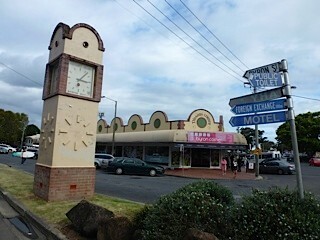 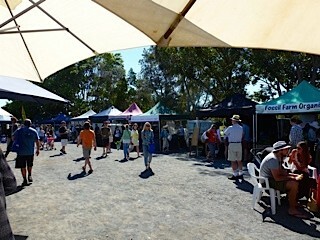 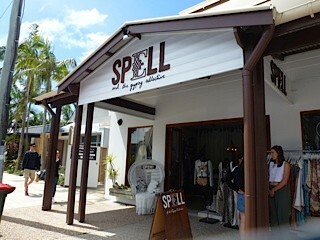 Byron Bay has several nice little shops, where you can buy handmade trinkets, souvenirs, surfboards...you name it! 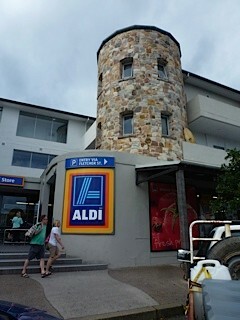 Not long ago, Aldi opened up a chain in Byron, however if you're looking to buy alcohol at Aldi you won't find it at their Byron store. 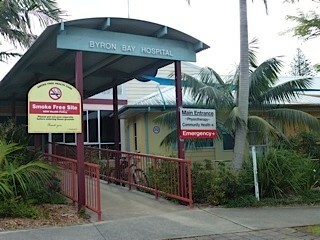 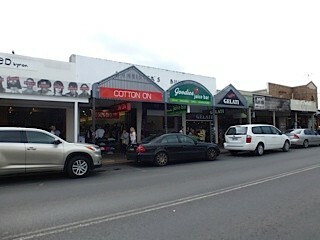 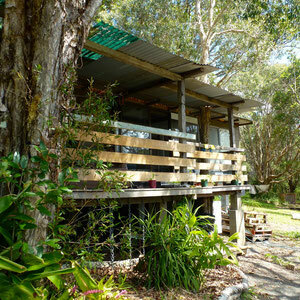 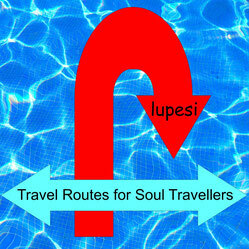 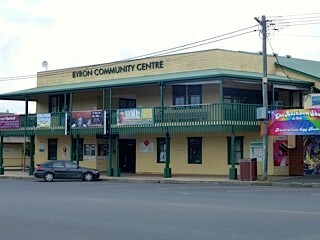 You will need to travel to thier store in Ballina (38km South of Byron). 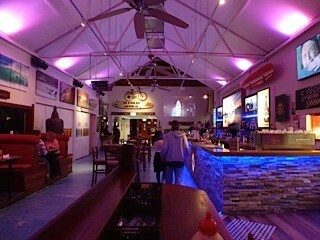 Established first as a piggery, the Buddha Bar was converted to a world renowned venue for musicians, hosting both local and international artists. 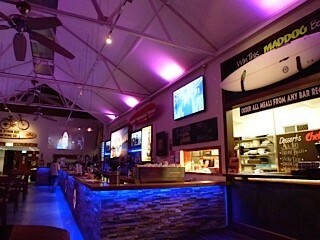 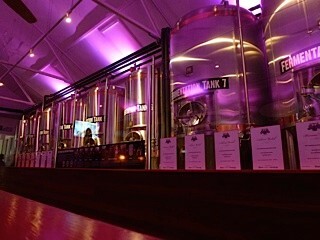 There is a bar and restaurant, with live music almost every night. 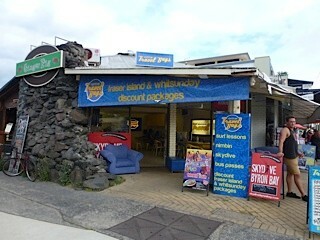 They have special offers every day of the week. 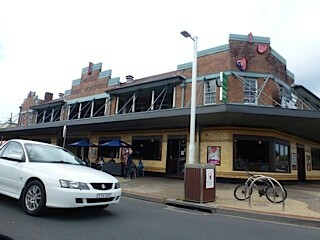 We had steak (200g) with french fries and salad for only A$9.50. 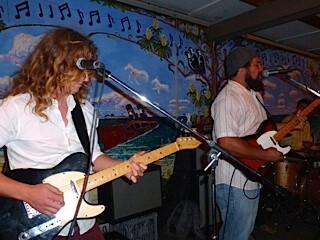 When I was there I listened to a band called Allensworth. 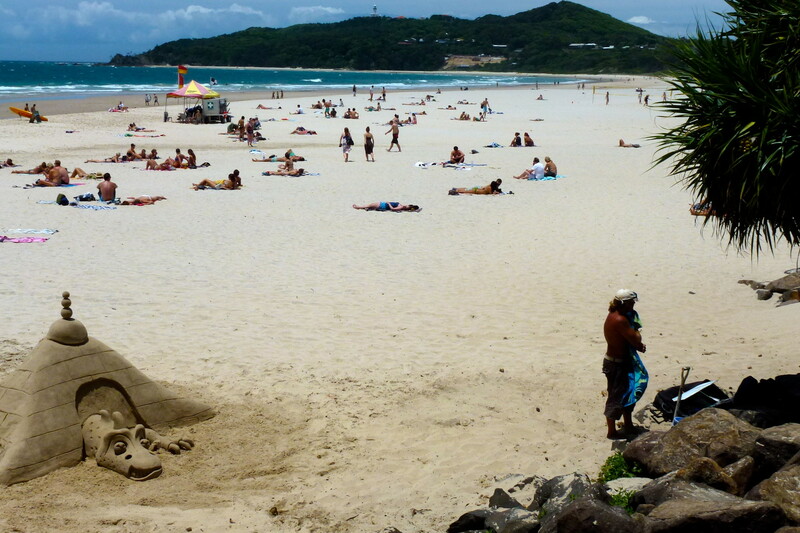 Interestingly, I saw a lady dancing non-stop, whom I saw (also dancing) three years ago at Main Beach. 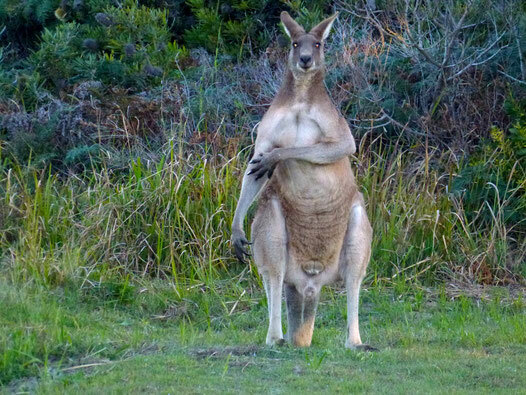 She must love dancing! 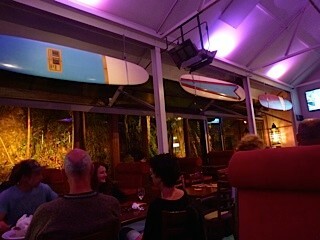 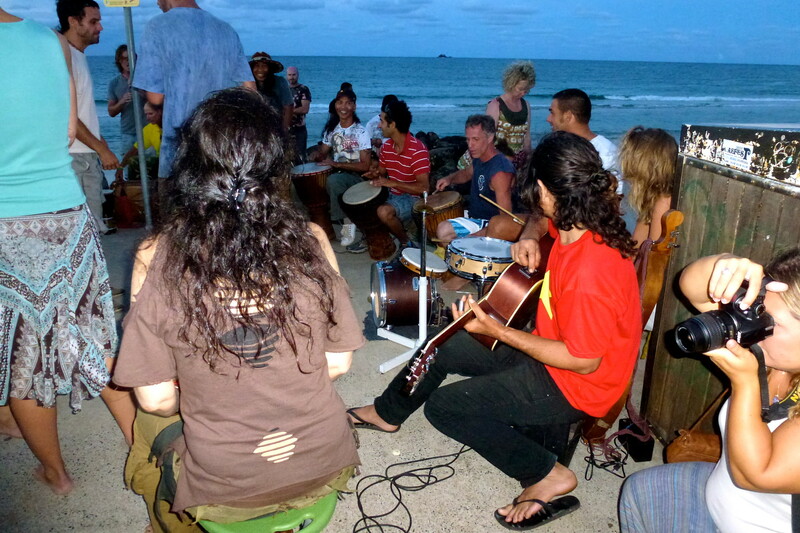 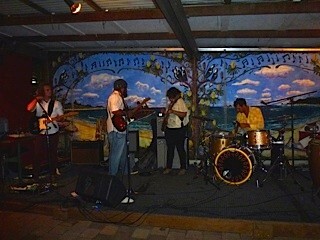 Watergos is a place for longboarders and boogie boarders. 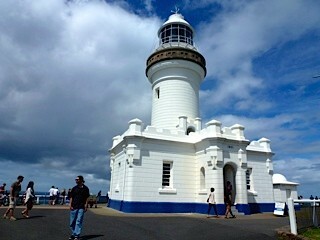 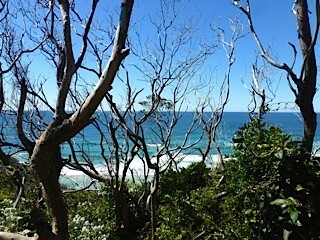 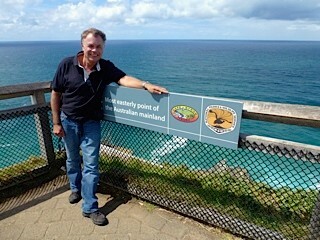 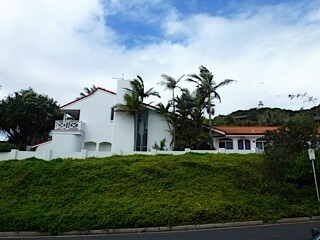 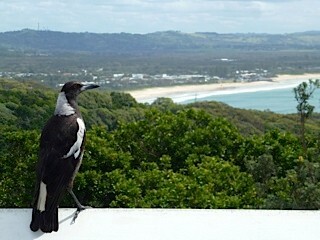 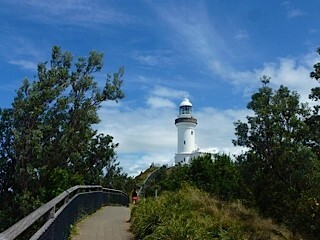 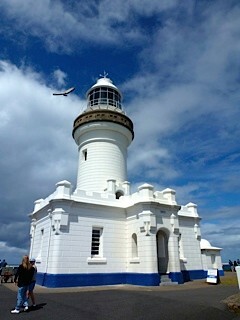 From here you can start the Cape Byron walking track. 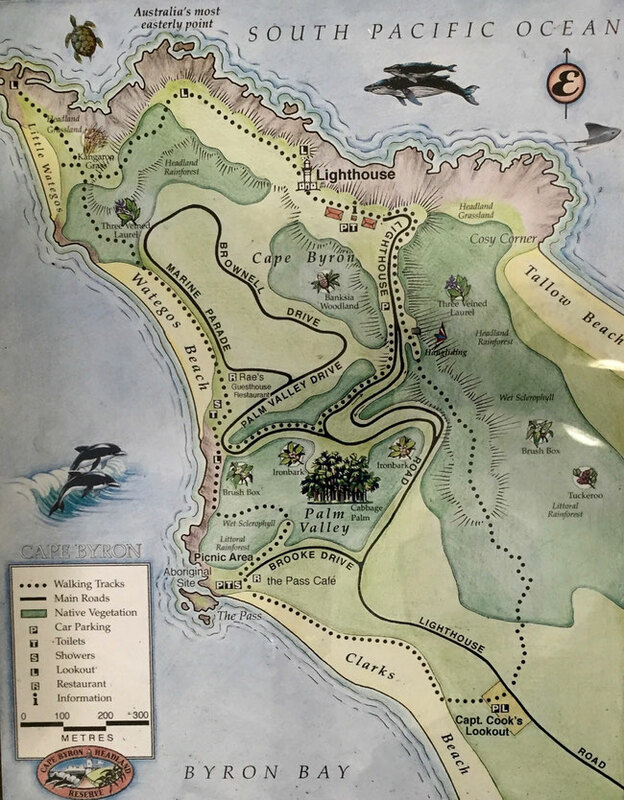 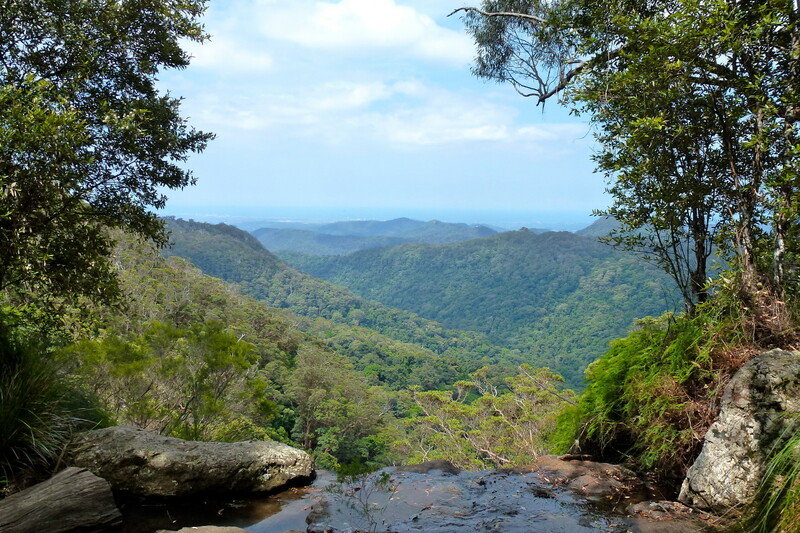 The magnificant clifftop walking track winds its way through diverse plant communities, offering panoramic views of the ocean and north coast hinterland. 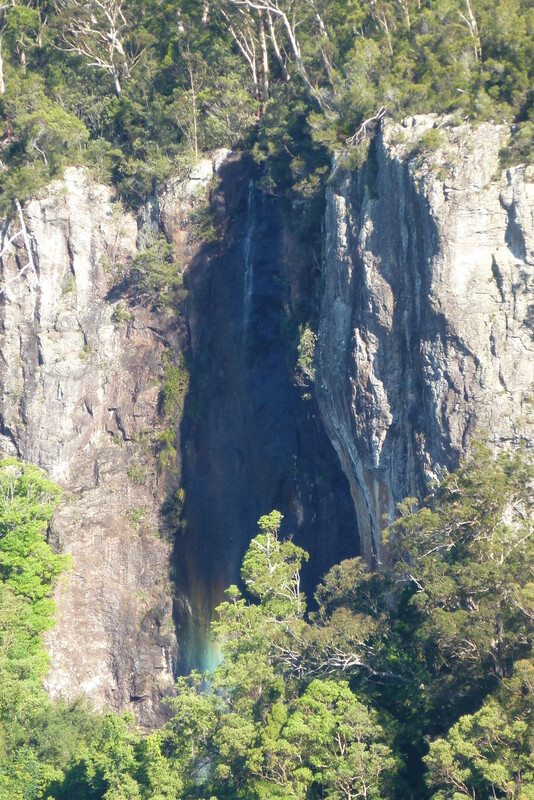 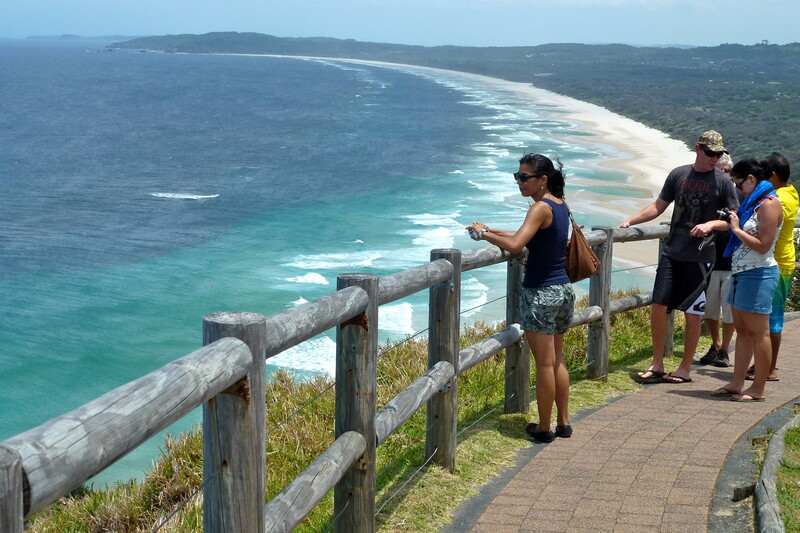 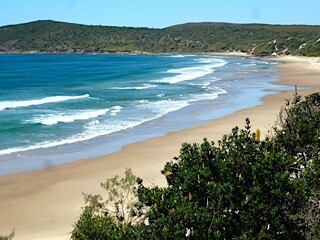 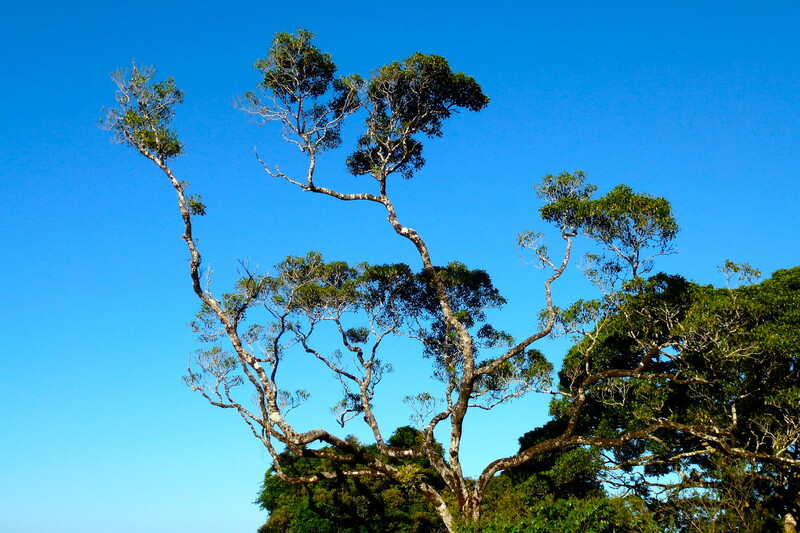 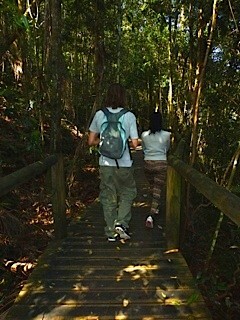 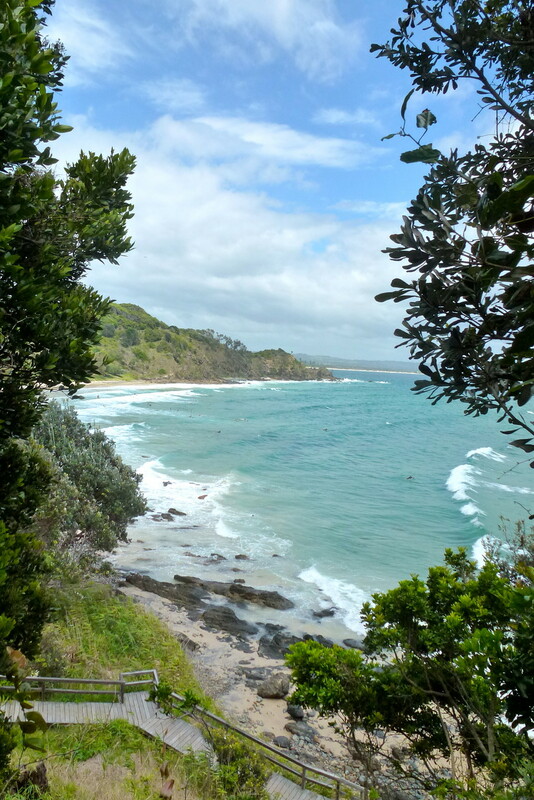 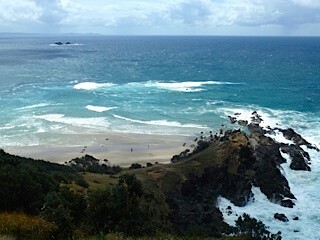 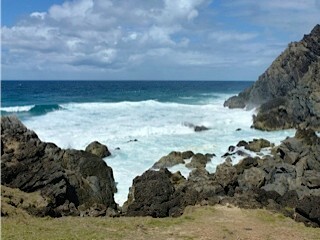 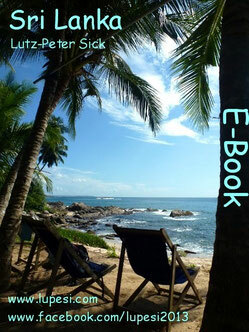 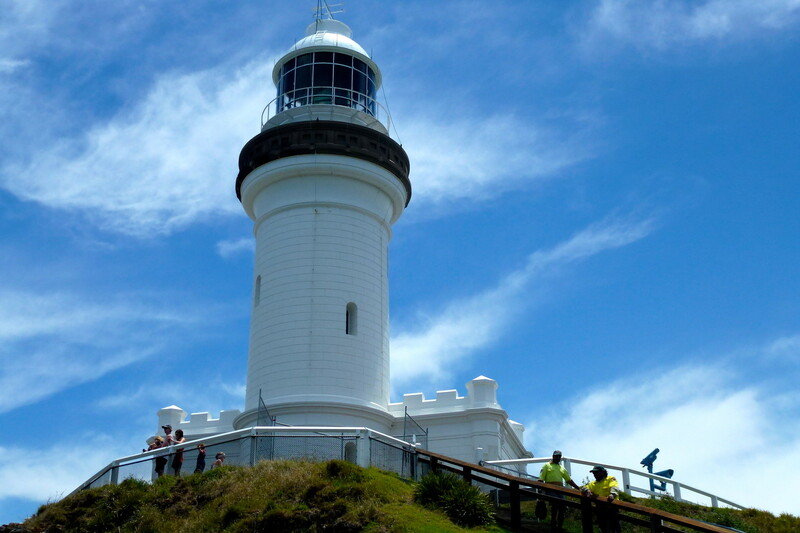 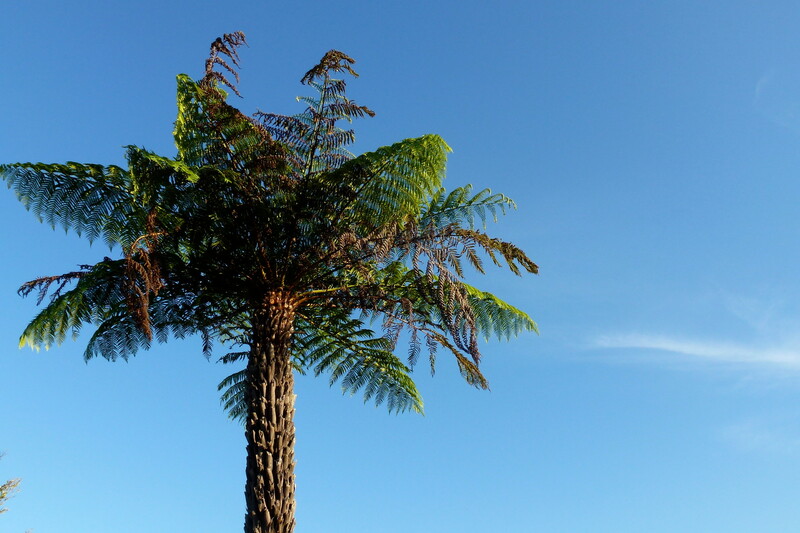 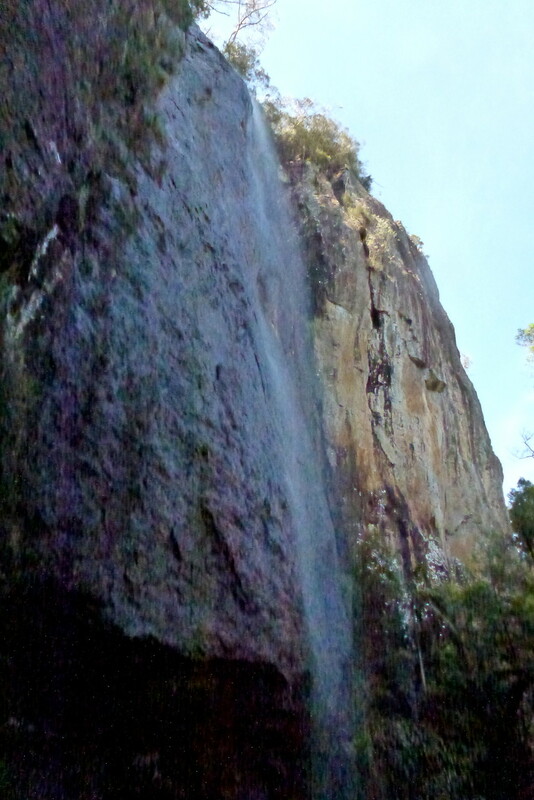 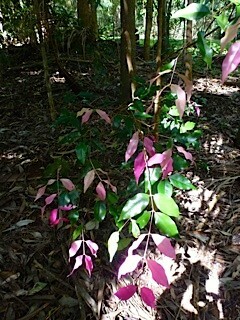 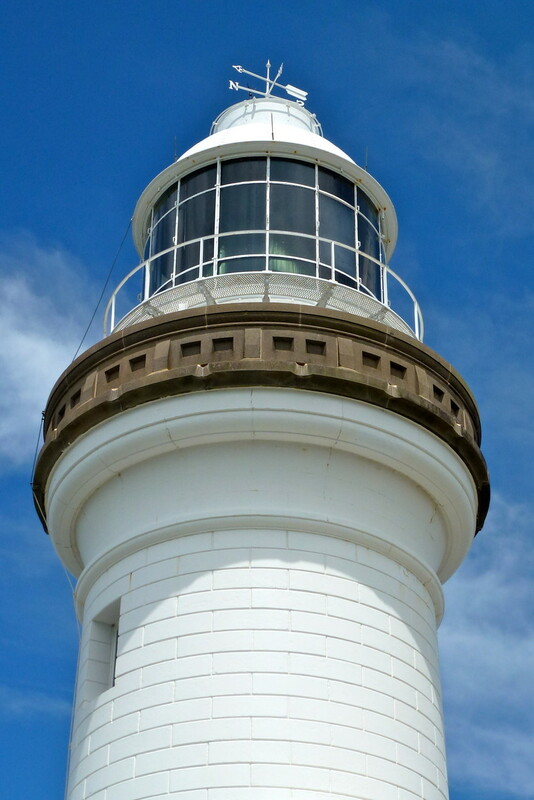 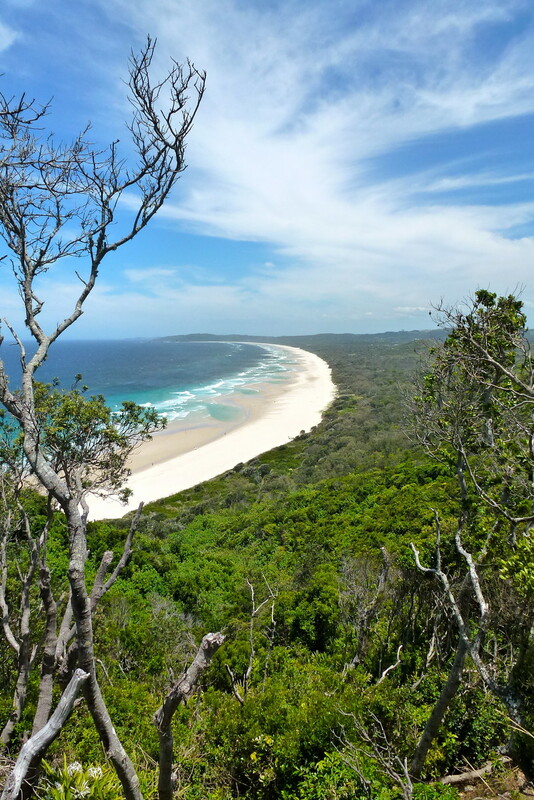 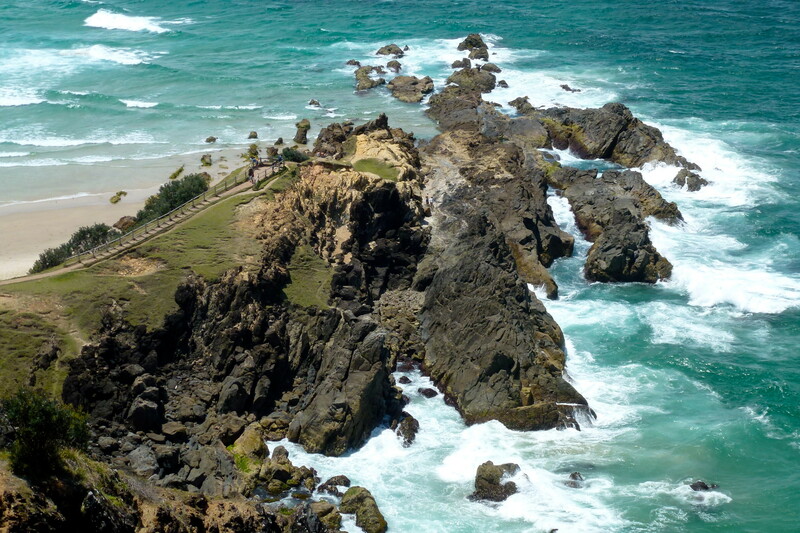 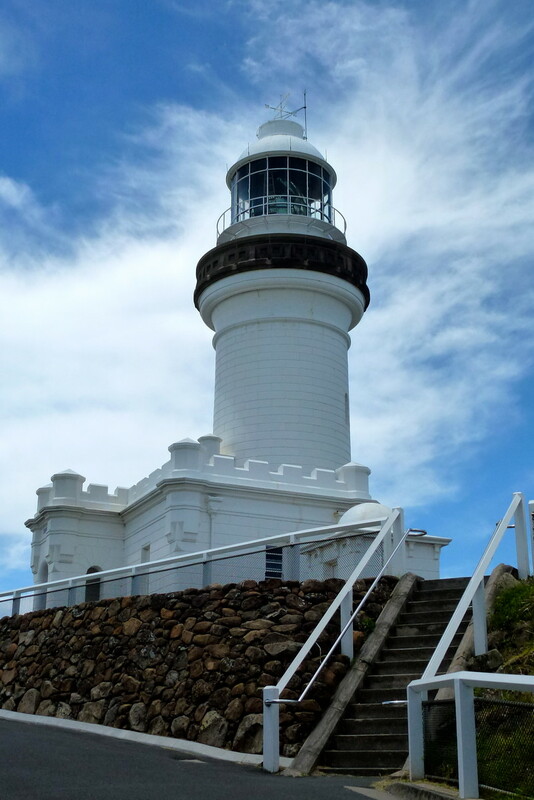 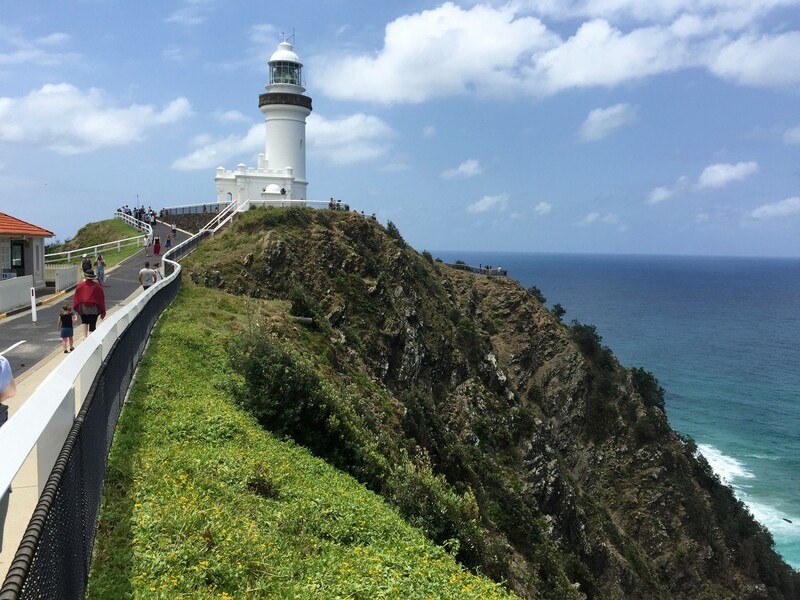 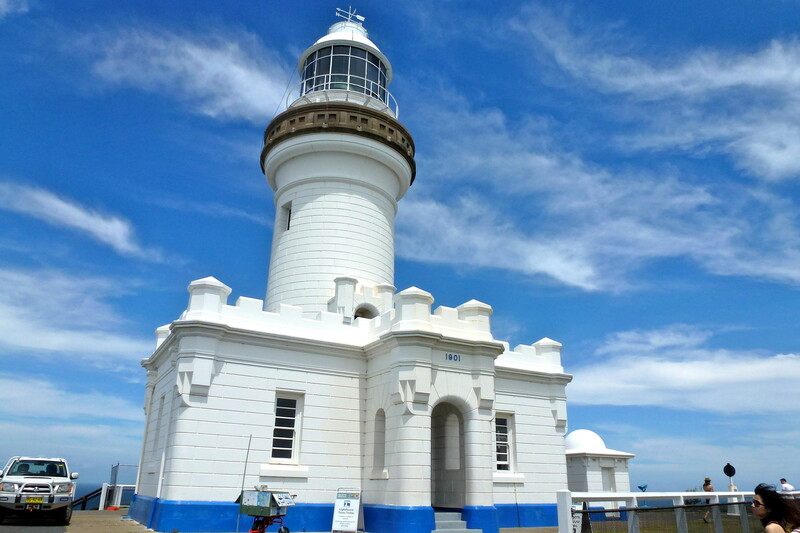 You can join this loop walk at Wategos Beach, Captain Cook Lookout or the Pass. 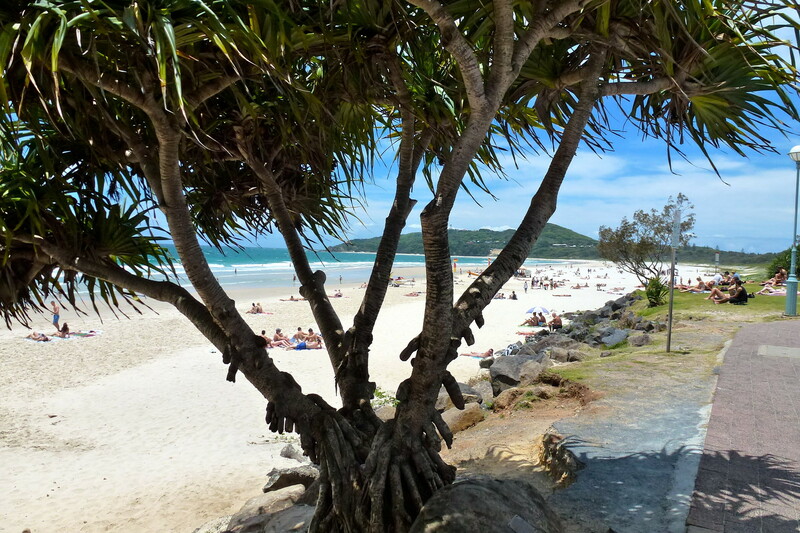 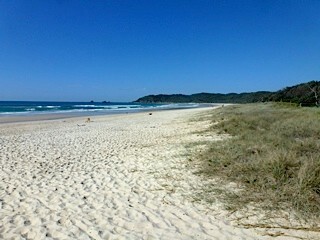 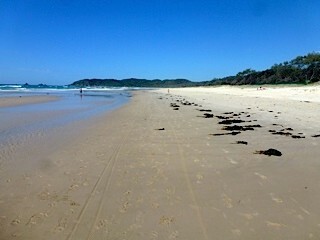 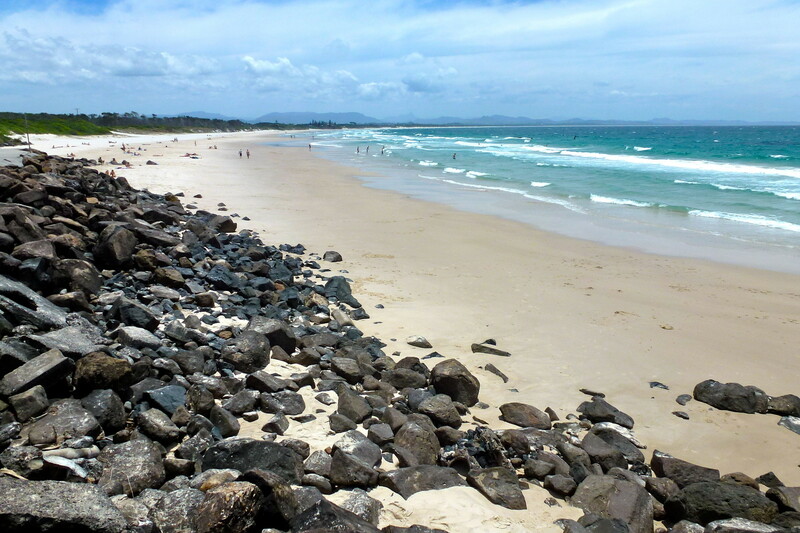 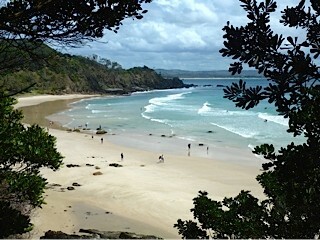 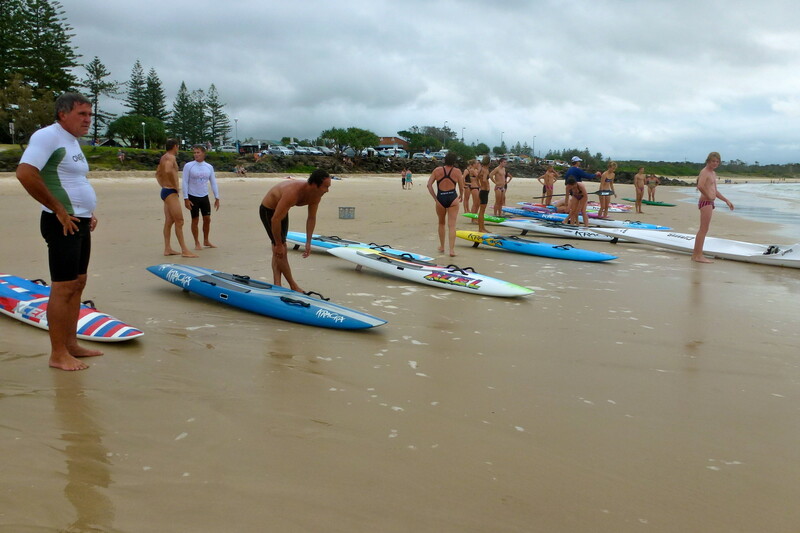 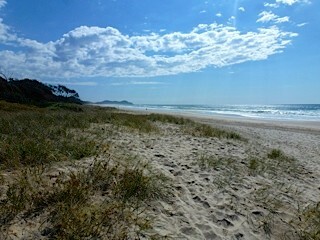 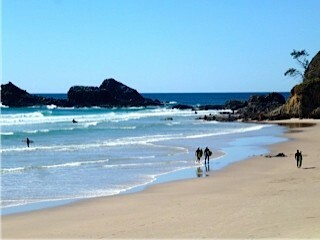 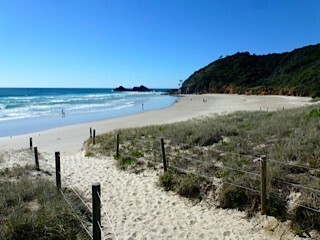 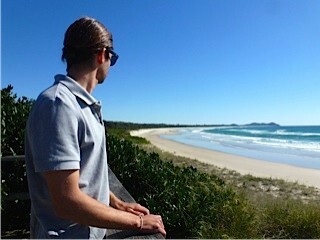 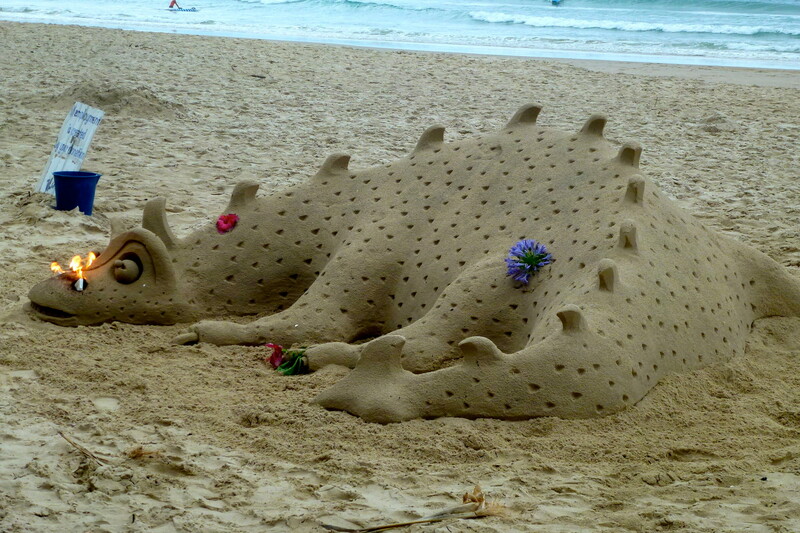 Byron Bay has a lot of gorgeous beaches and its hard to say which one is the best. 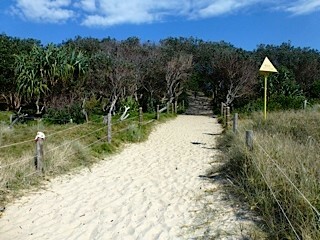 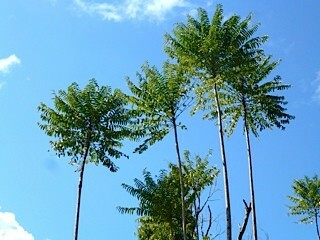 To reach Seven Mile Beach is quite hard because of the dirt road you have to drive on to get there. 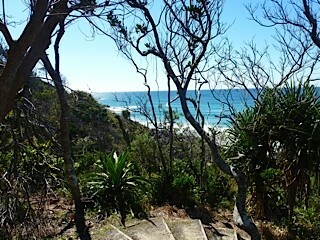 Once you're there, there is quite a number of steps to walk down to get to the beach. 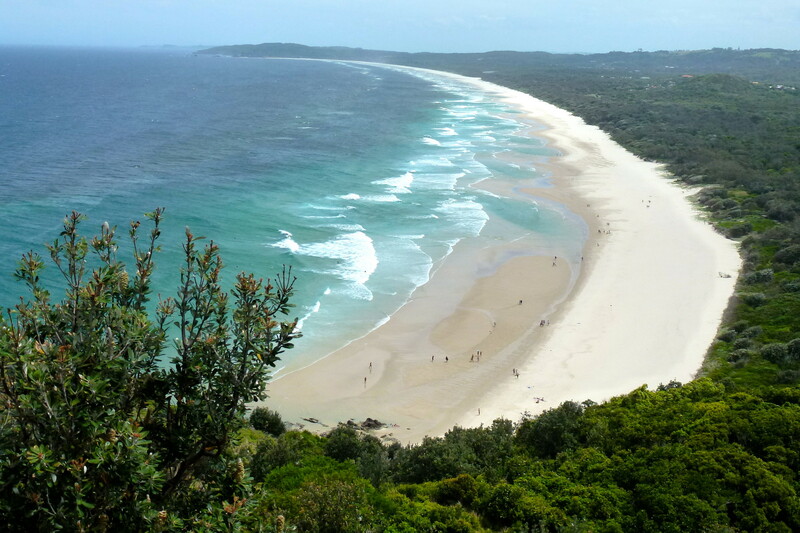 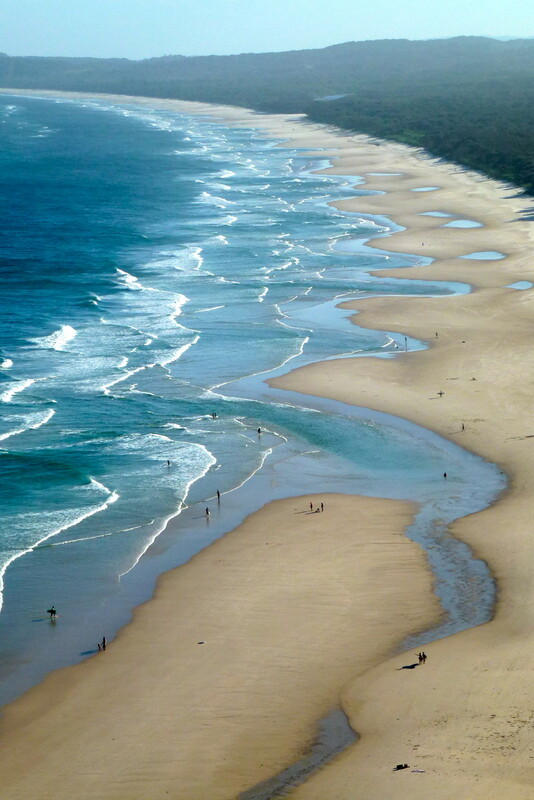 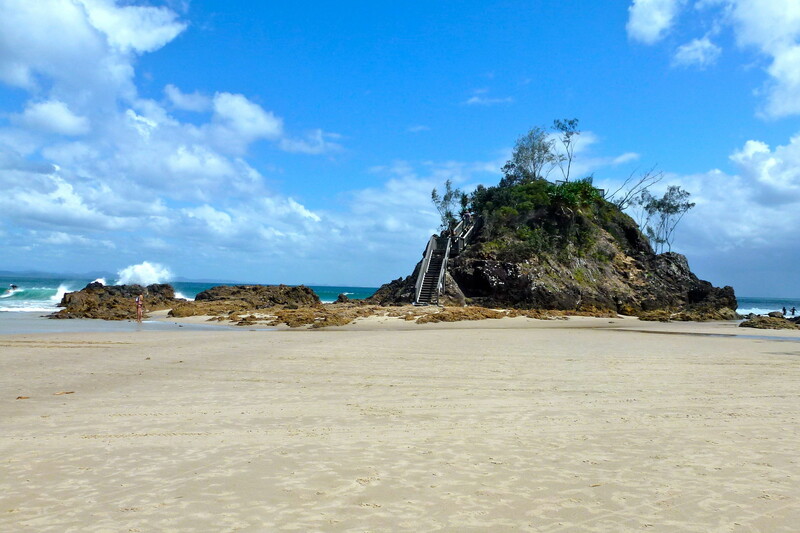 For me, this is one of the most beatiful beaches in Byron Bay. 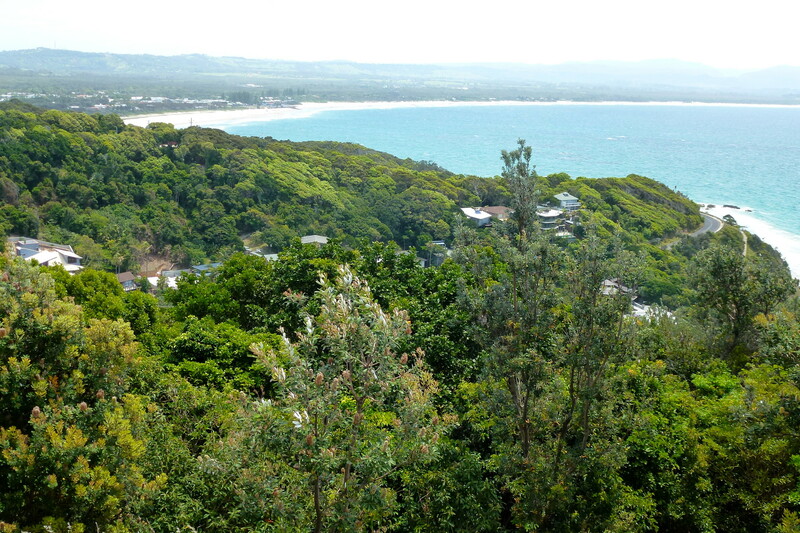 Angourie is a small coastal village in the Clarence Valley Council of New South Wales, Australia. 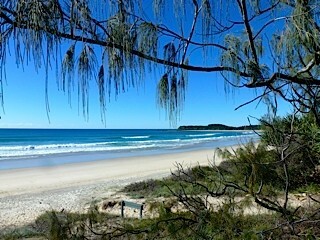 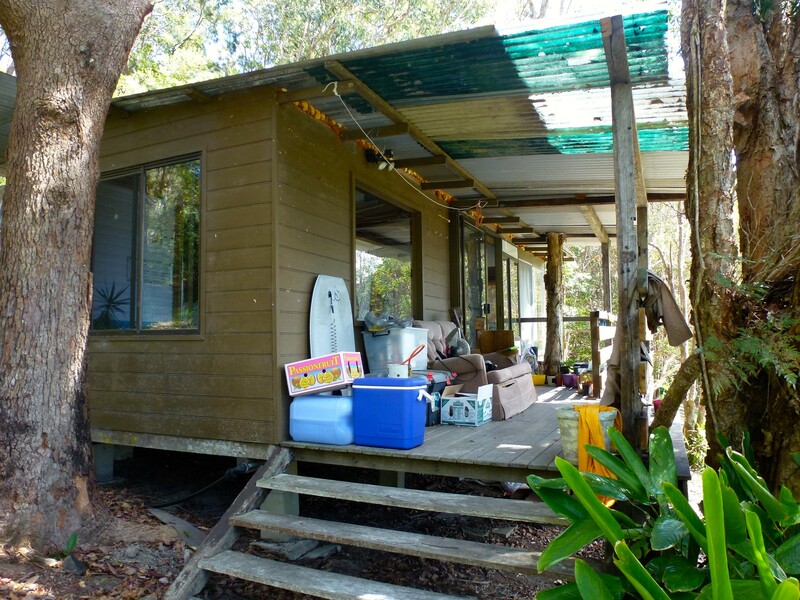 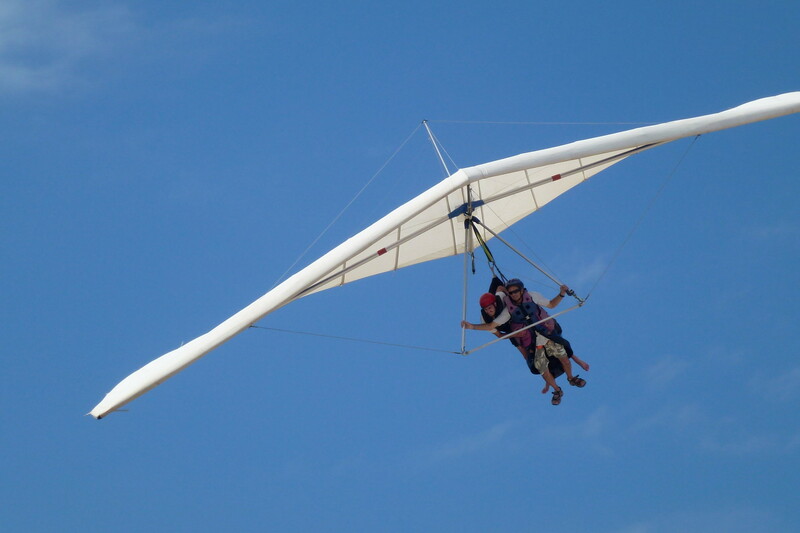 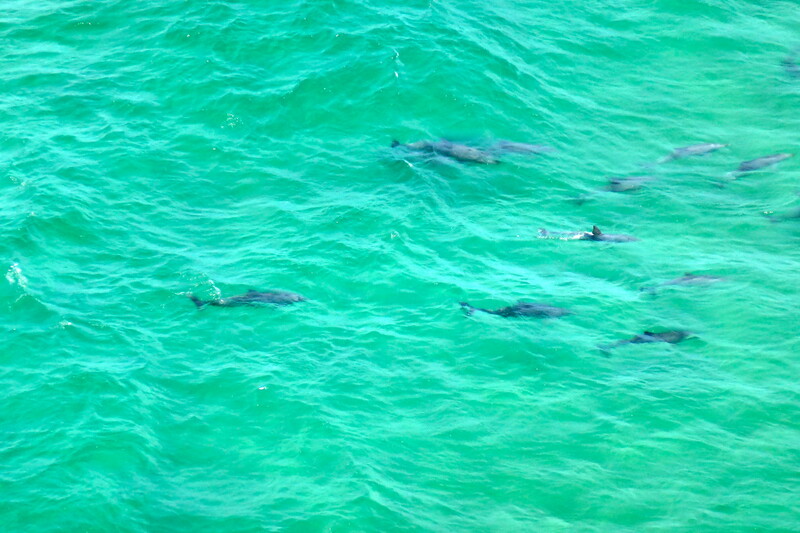 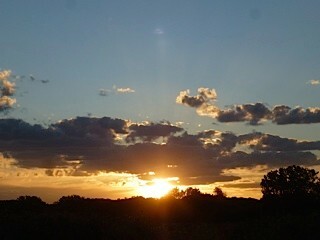 It is south of Yamba, New South Wales. 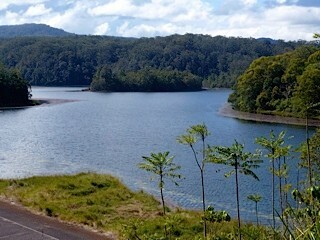 In 2006, Angourie had a population of 170 people (excluding visitors). 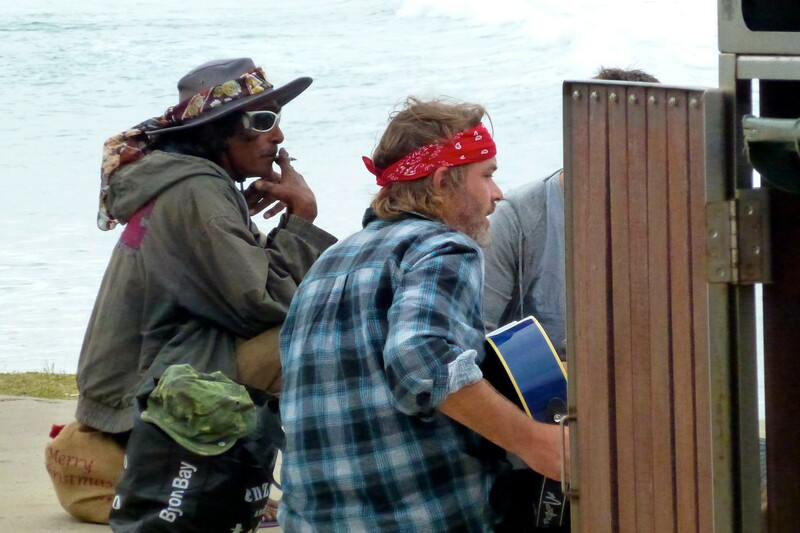 The median age of the population was 47. 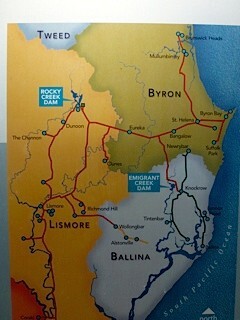 Towns that surround Angourie are Yamba and Wooloweyah. 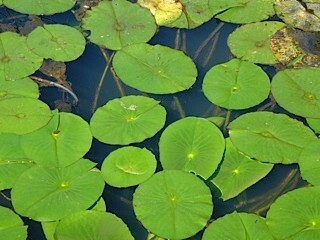 A local attraction of note is the Blue and Green Pools, freshwater pools created when the old quarries hit underground springs. 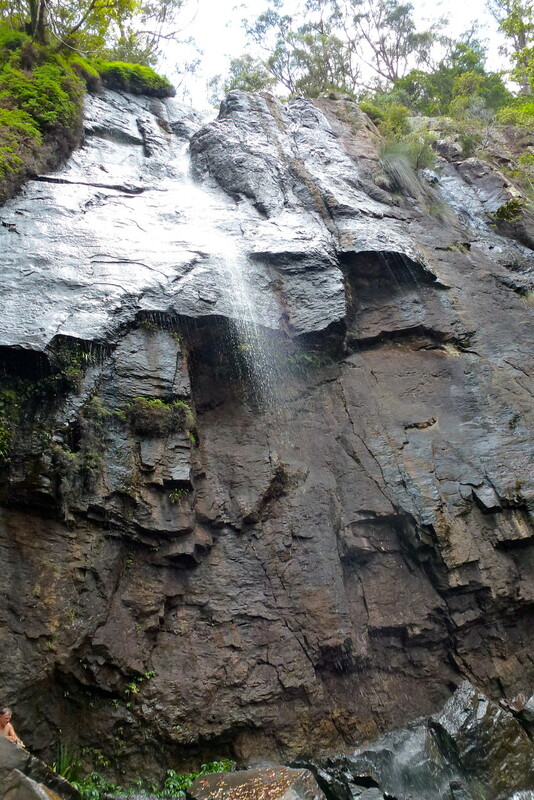 The story goes that the miners working on the quarries went home one night and came back the next morning to find the quarries filled with water. 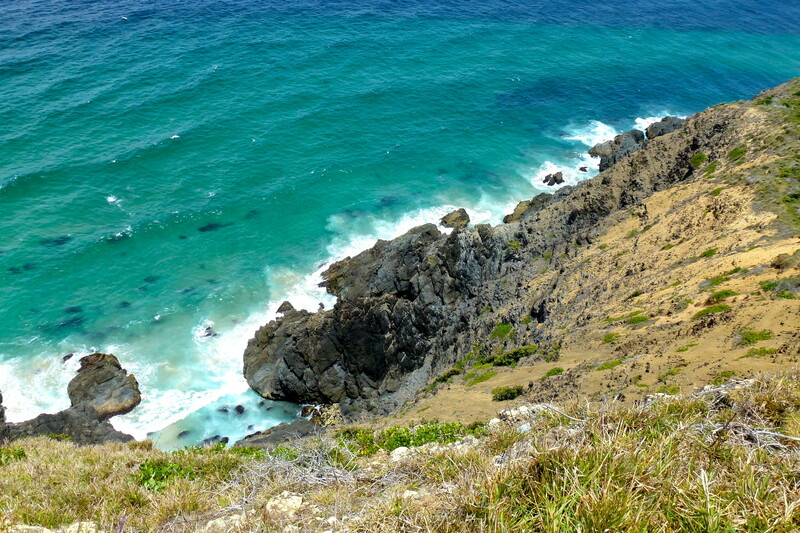 The pools are less than 20 metres from the ocean, and the two bodies of water are separated by mounds of quarried rock and earth. 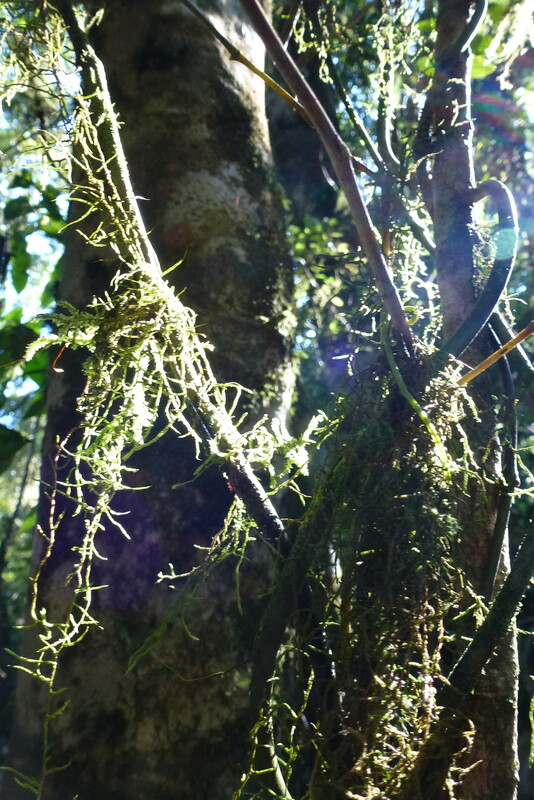 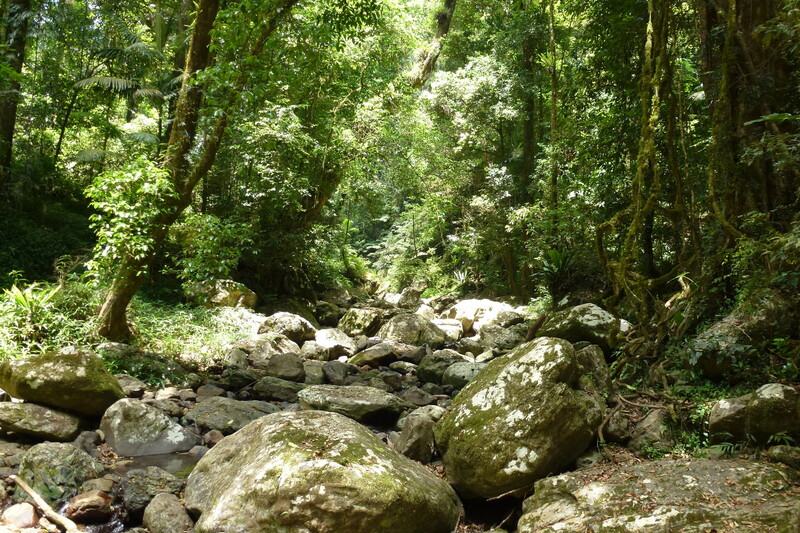 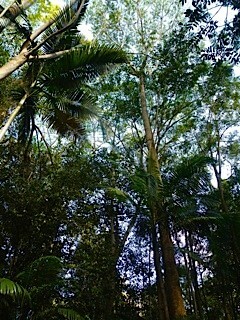 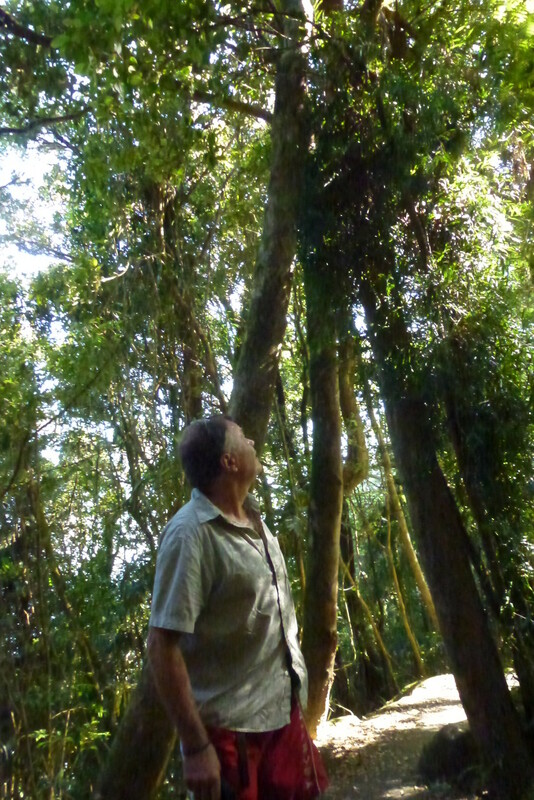 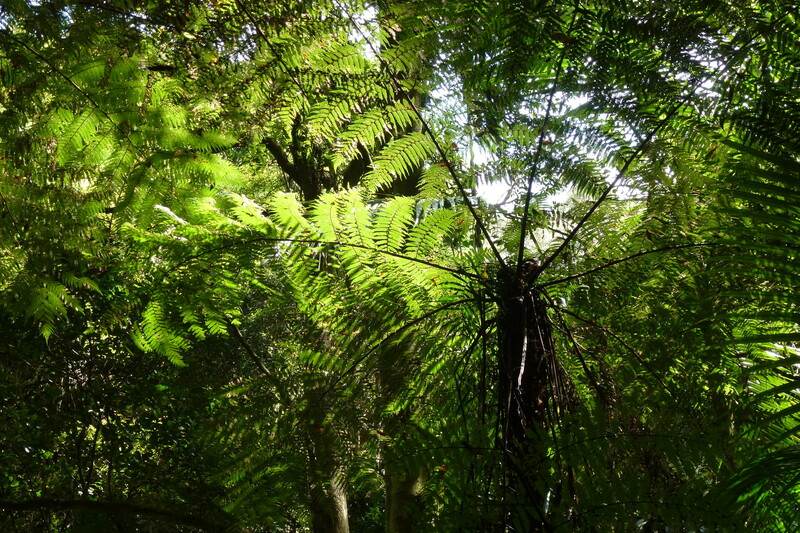 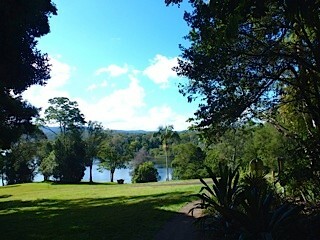 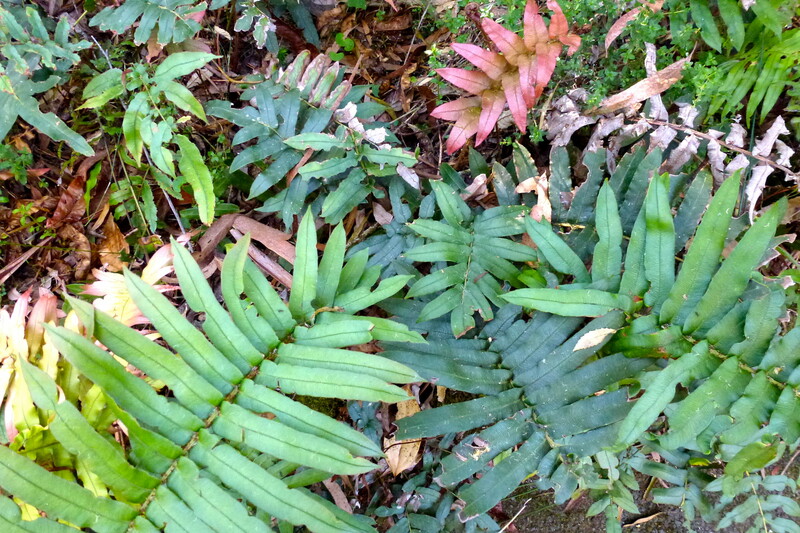 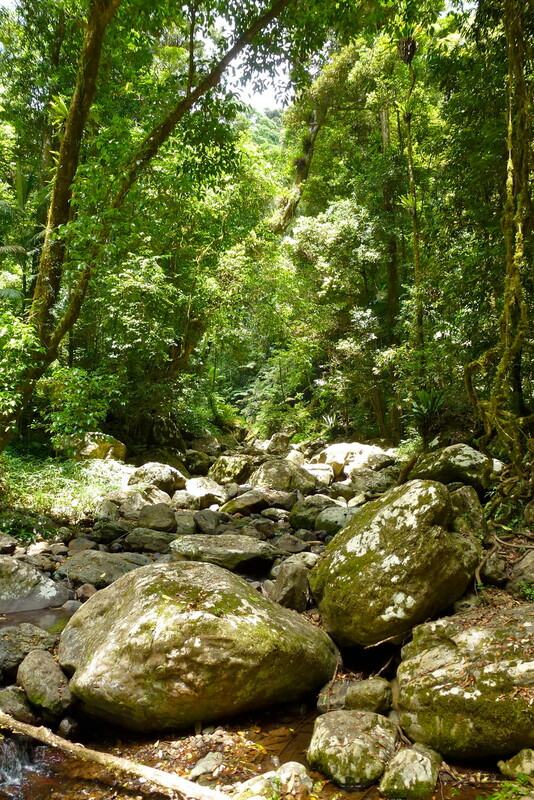 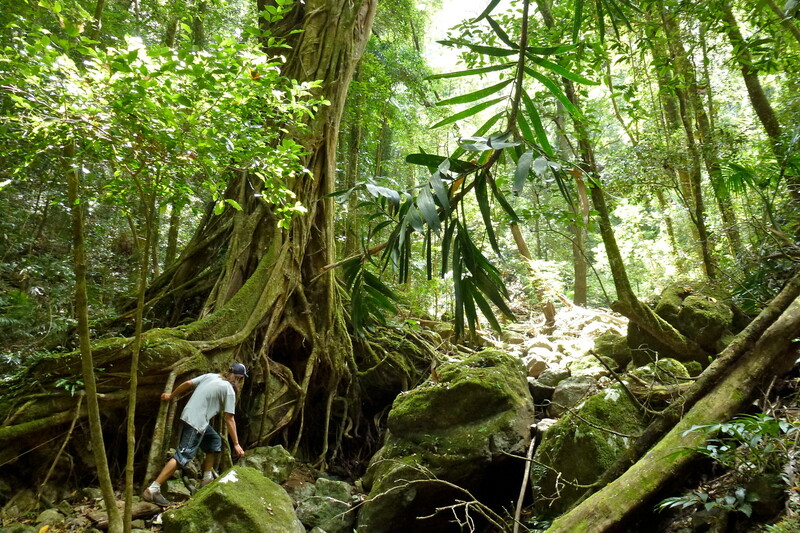 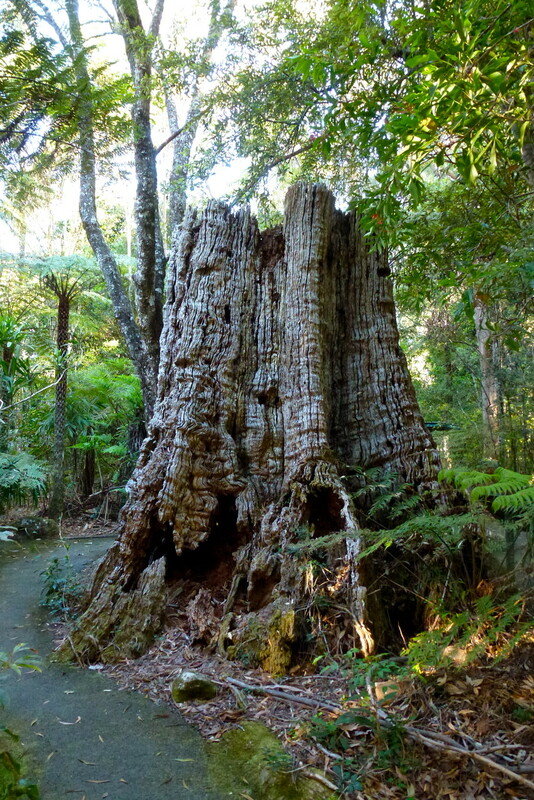 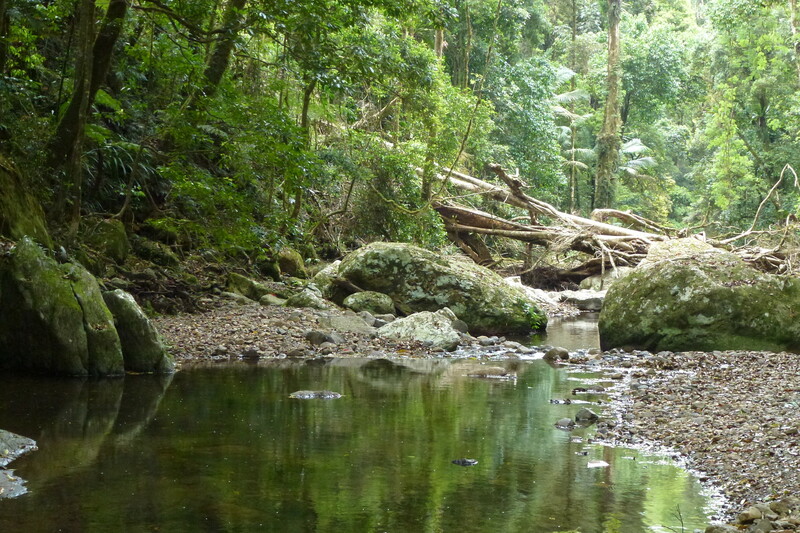 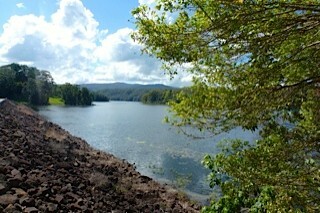 Stroll amongst some of the best examples of rainforest in NSW. 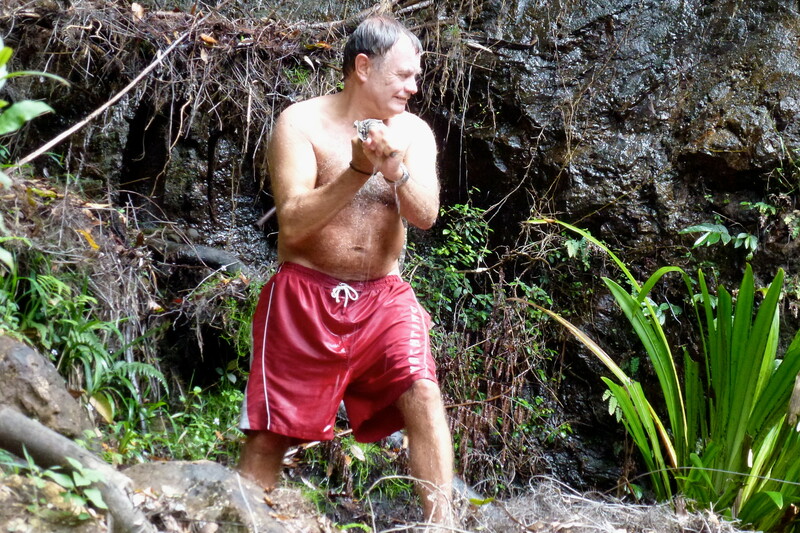 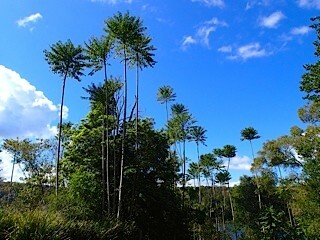 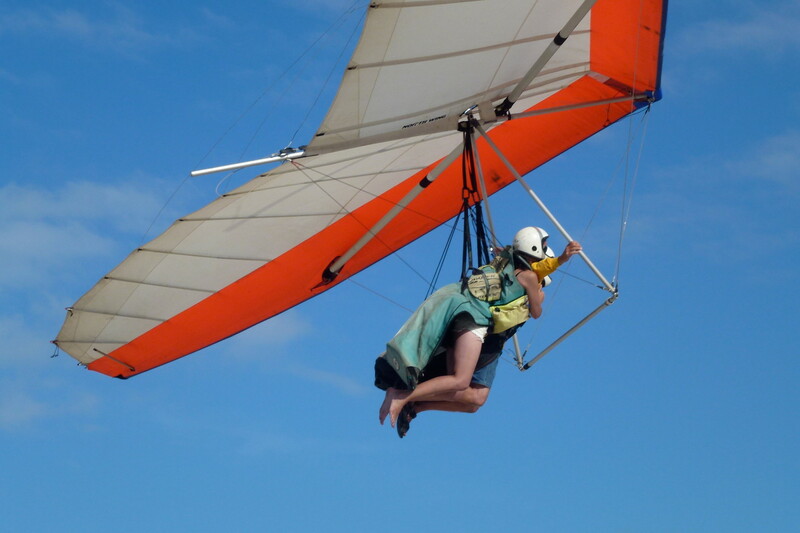 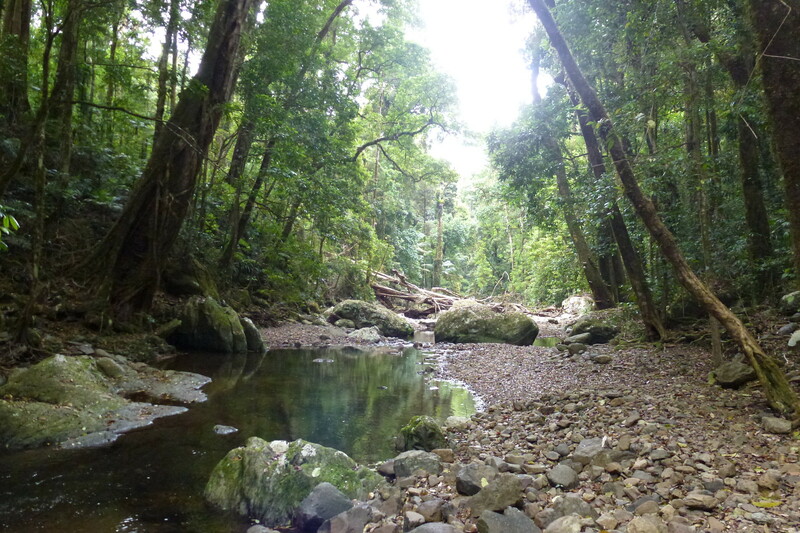 See large figs abundant birdlife and crystal clear creeks. 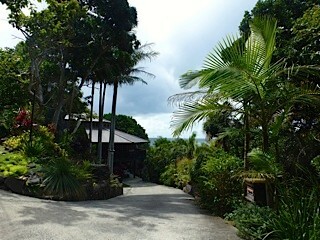 Walk starts off Gibbergunyah Rande Road. 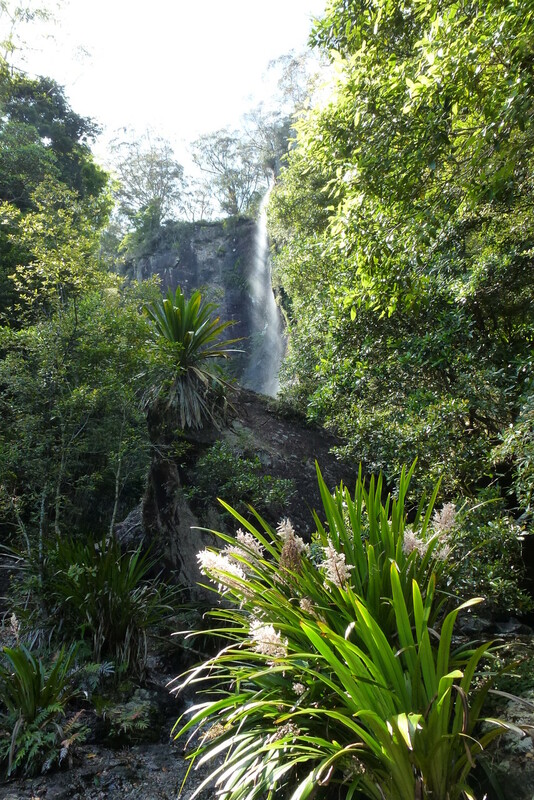 The Springbrook National Park is a protected national park that is located in the Gold Coast hinterland of Queensland, Australia. 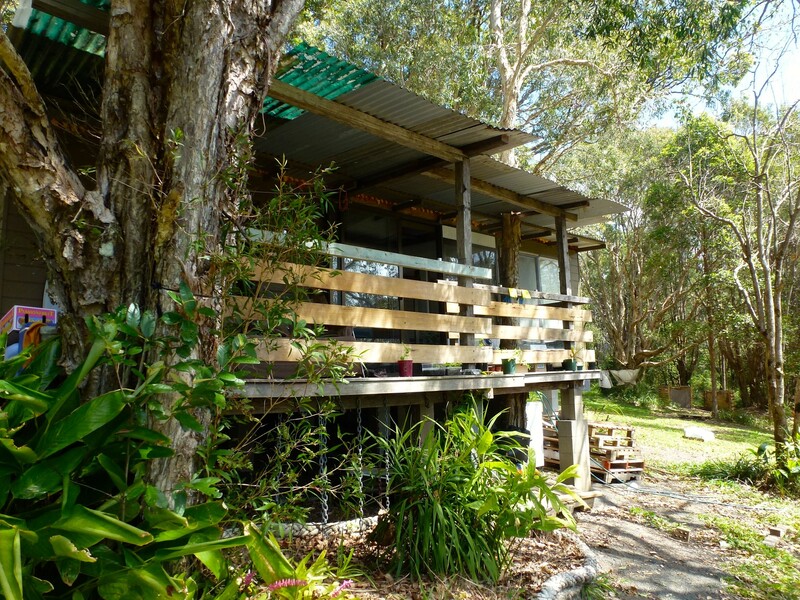 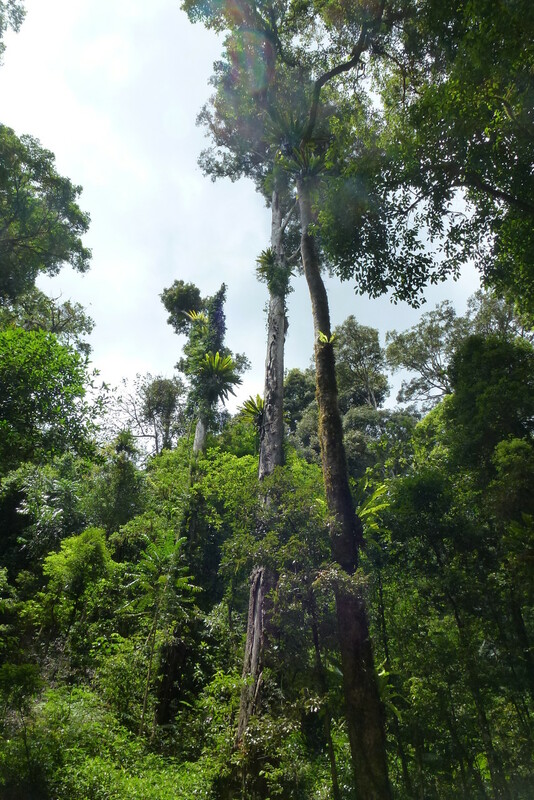 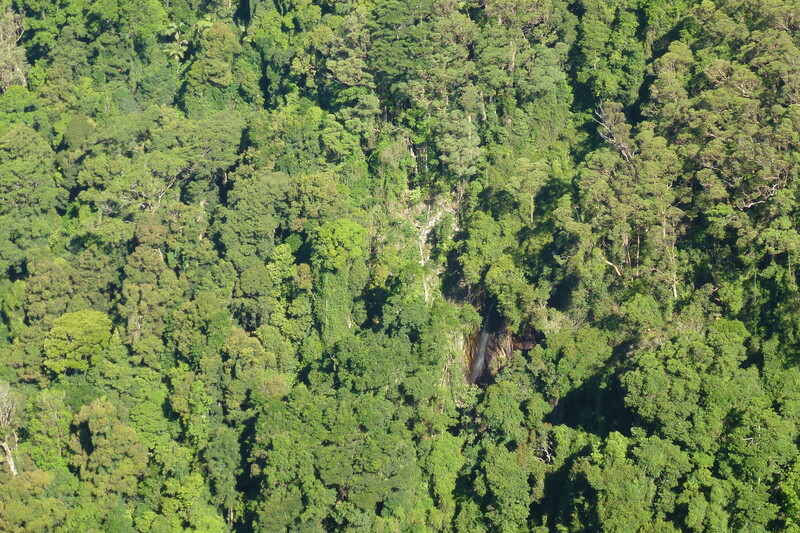 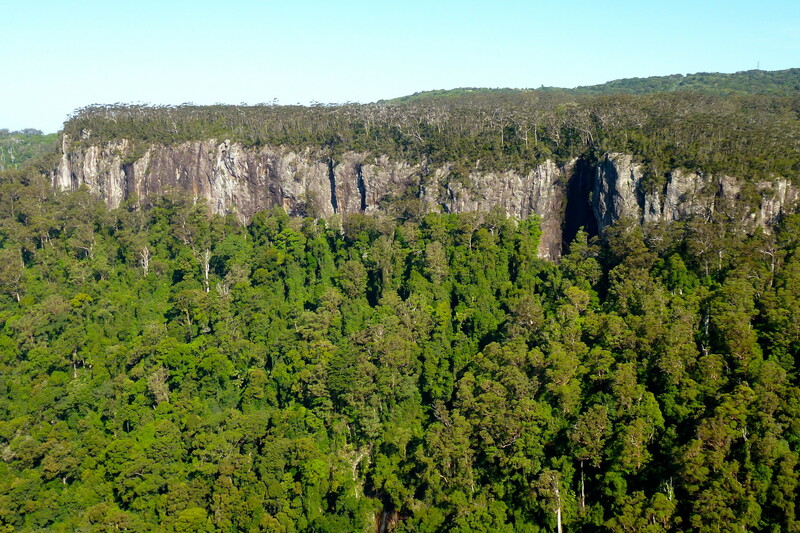 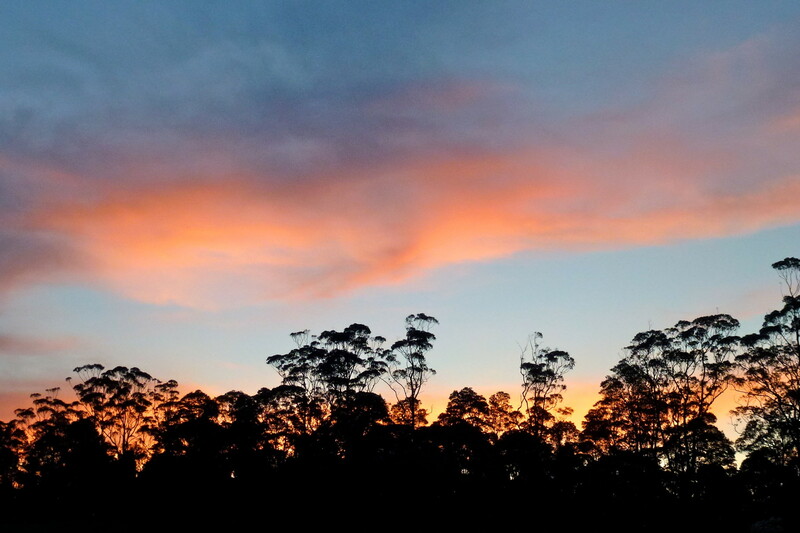 The 6,197-hectare (15,310-acre) park is situated on the McPherson Range, near Springbrook, approximately 100 kilometres (62 mi) south of Brisbane. 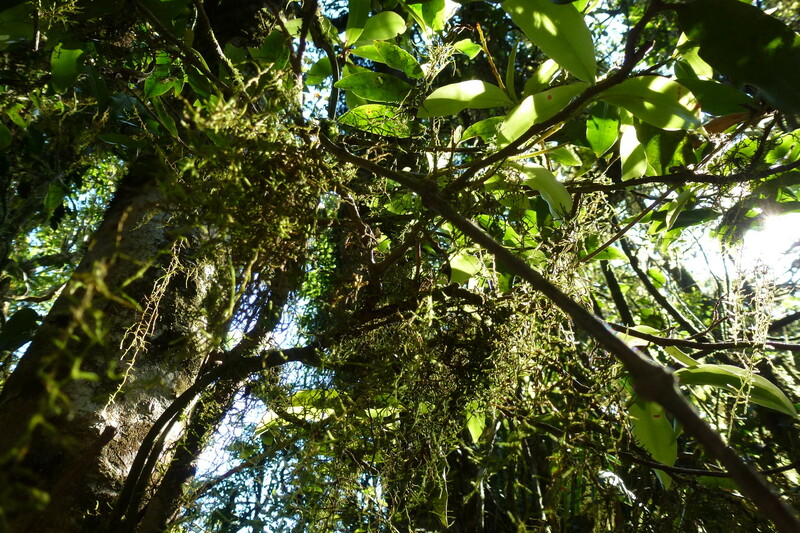 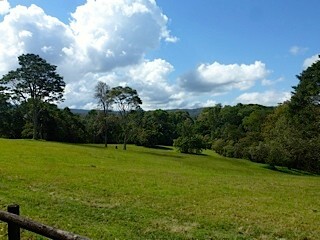 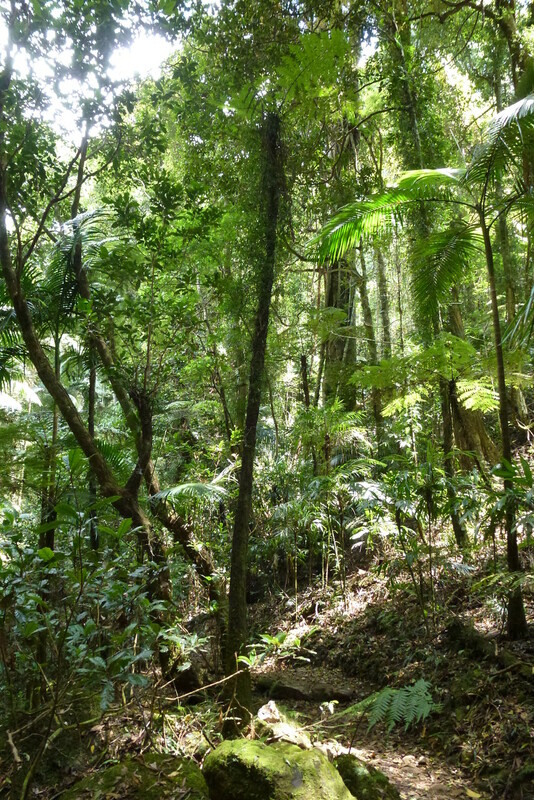 The park is part of the Shield Volcano Group of the UNESCO World Heritage–listed Gondwana Rainforests of Australia. 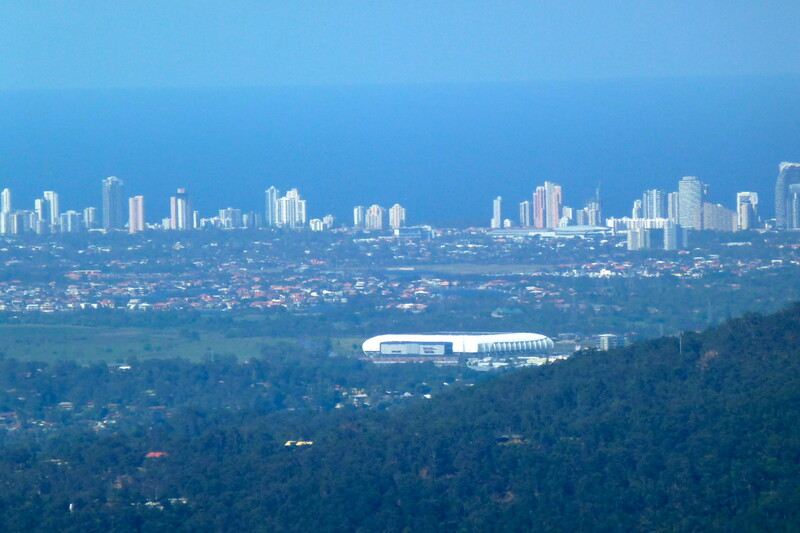 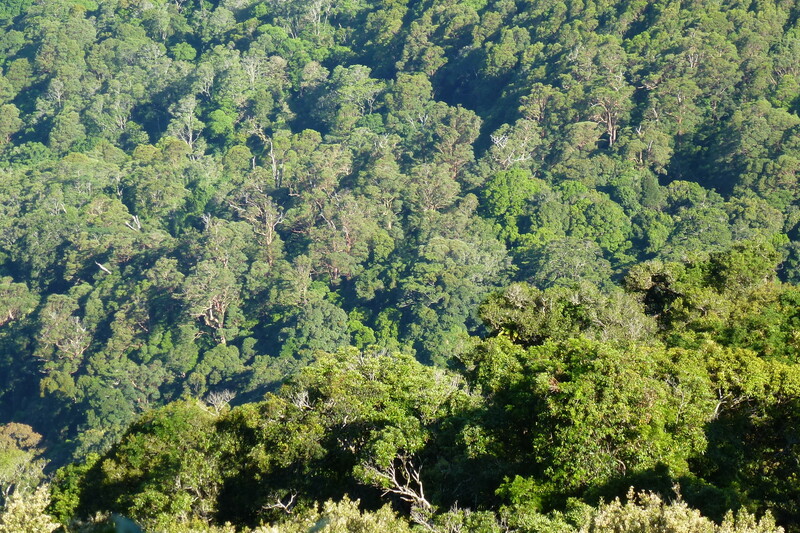 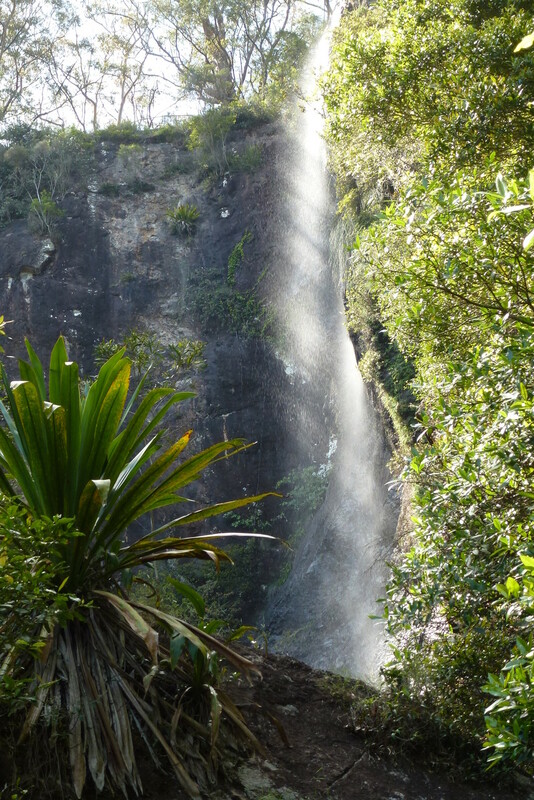 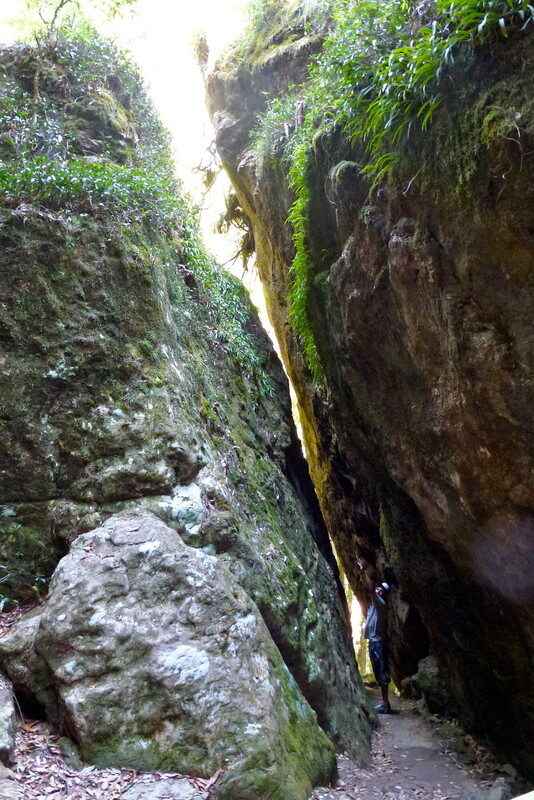 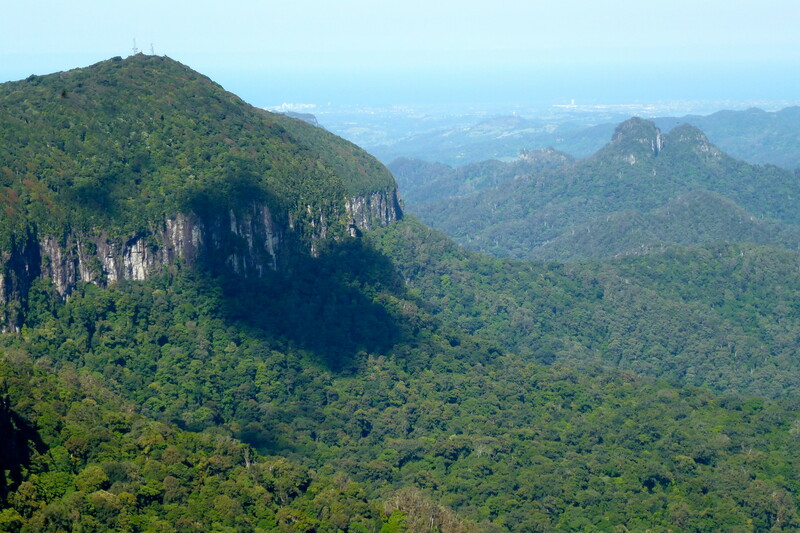 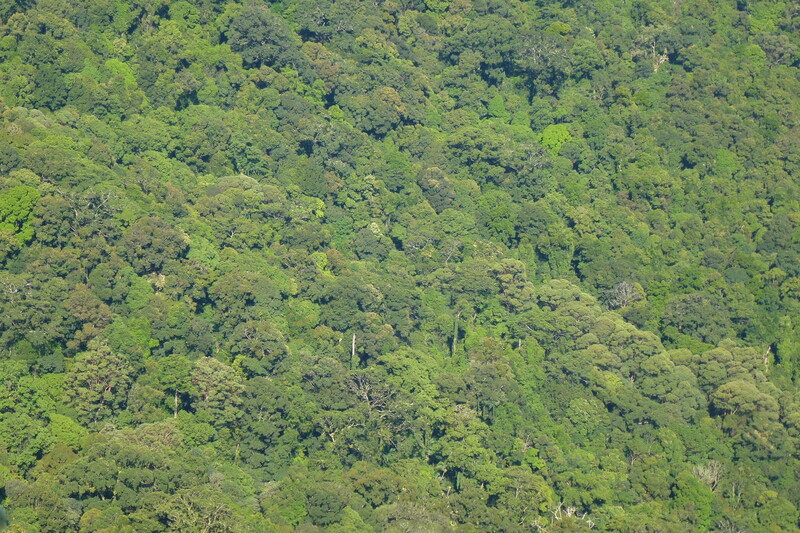 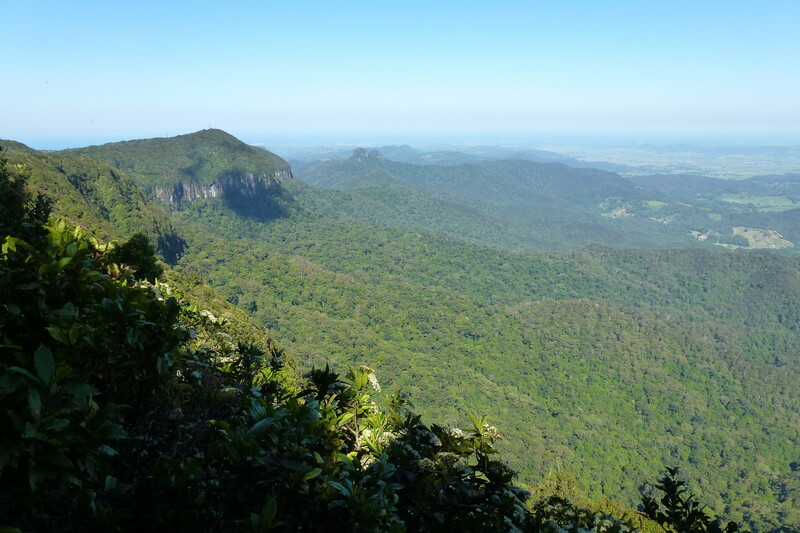 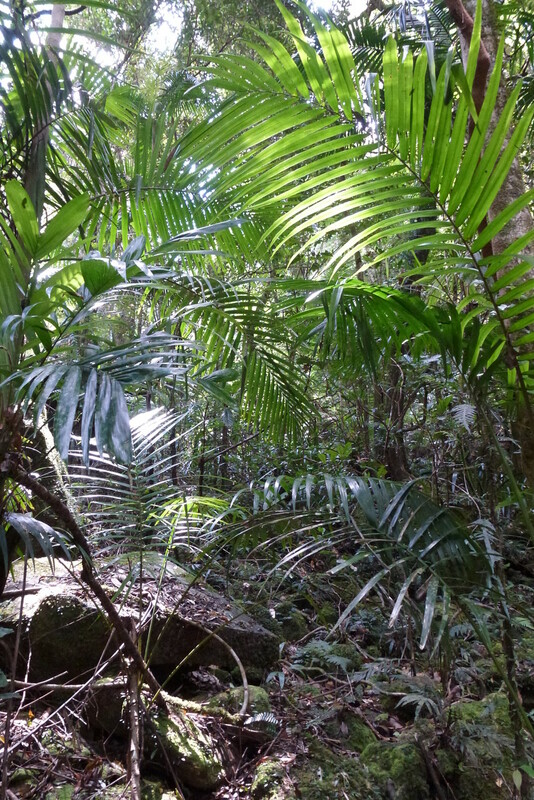 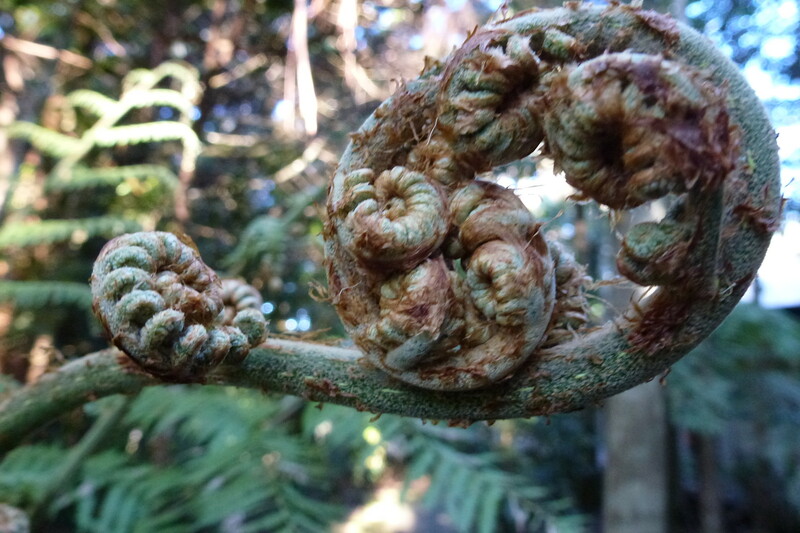 In December 1994, the UNESCO World Heritage Committee officially extended the area now known as the Gondwana Rainforests of Australia World Heritage Area over the Scenic Rim (including Main Range, Mount Barney, Lamington and Springbrook National Parks and Goomburra Forest Reserve) and the rainforests of northern New South Wales. 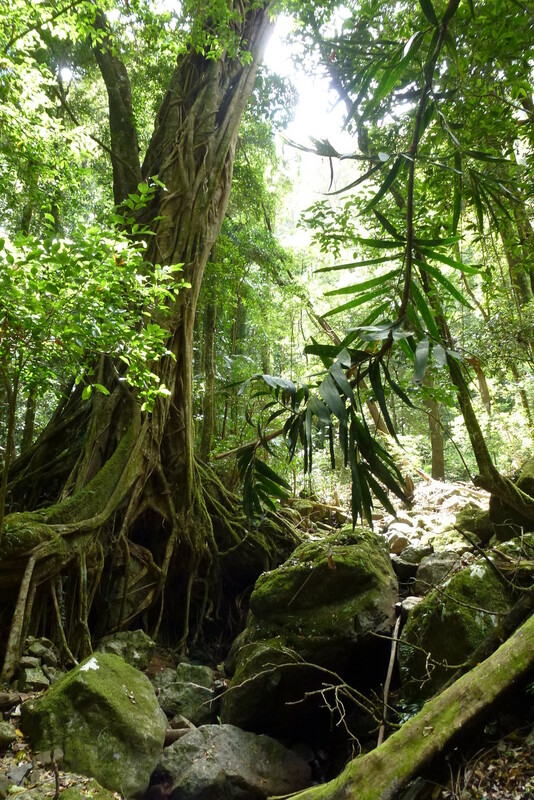 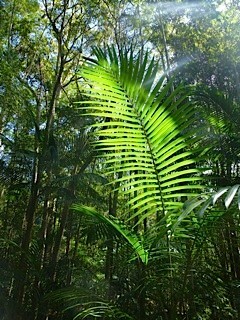 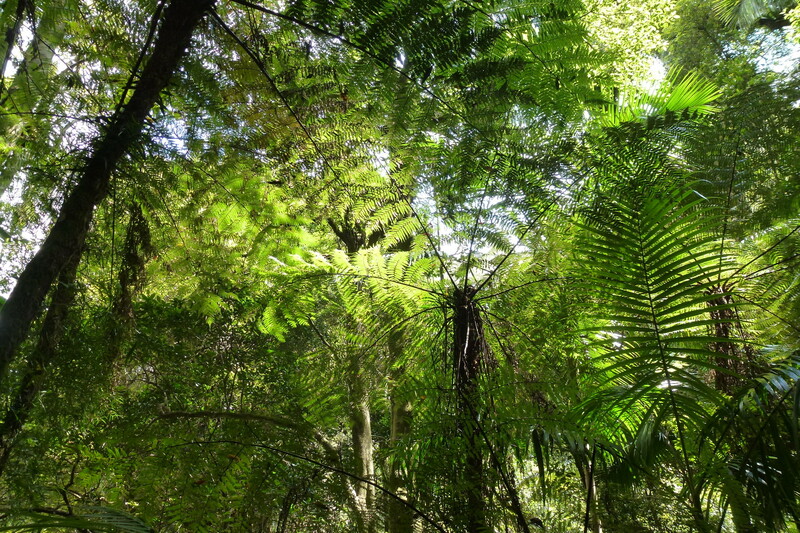 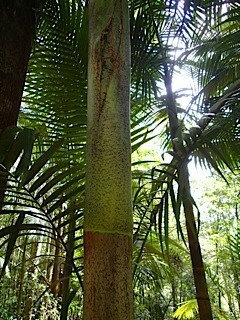 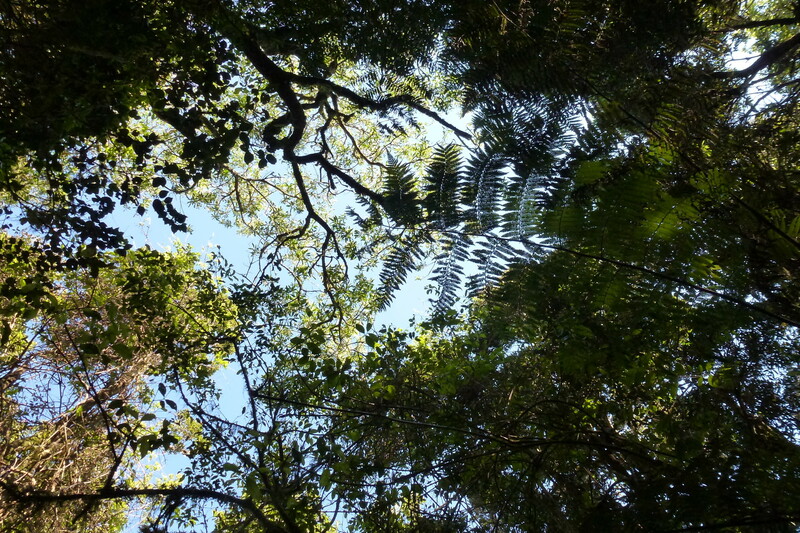 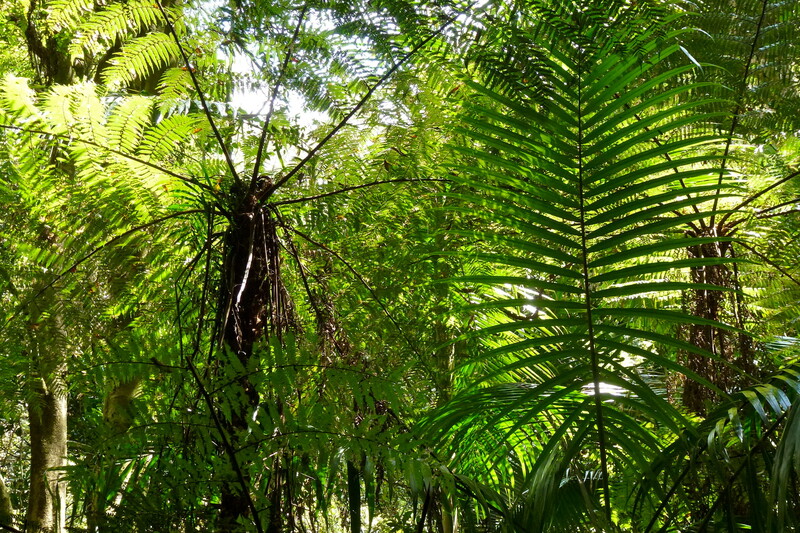 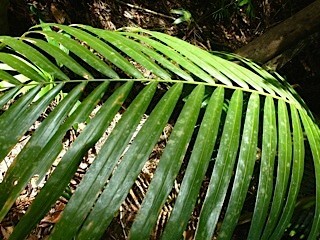 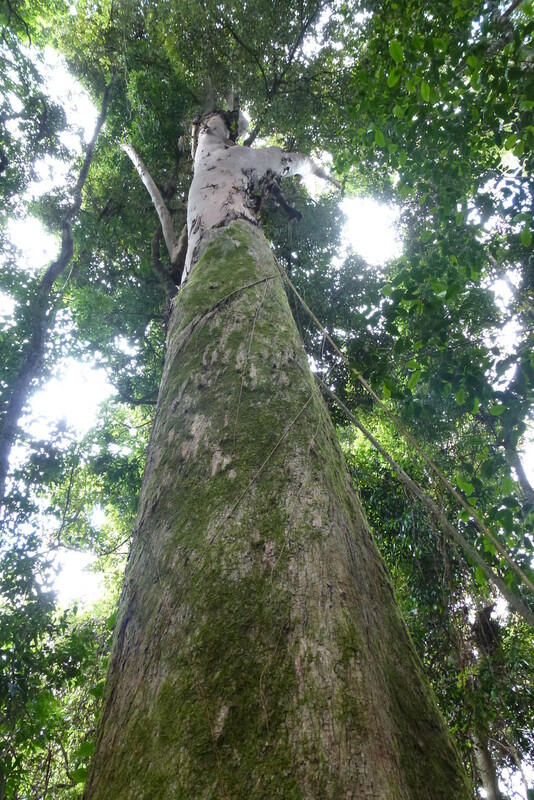 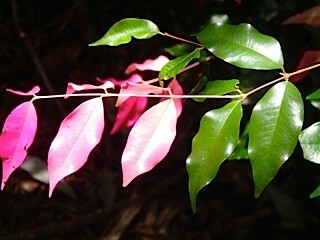 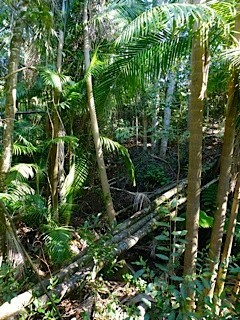 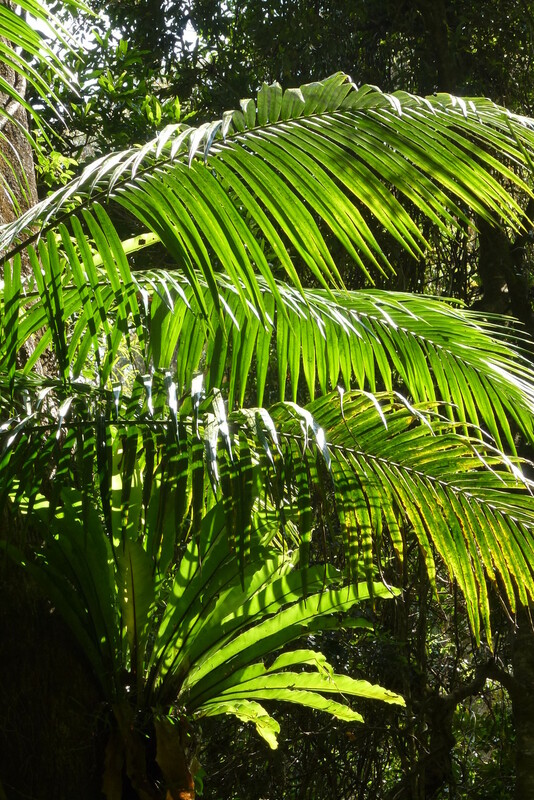 In 2007 the areas of the Gondwana Rainforests of Australia were added to the Australian National Heritage List. 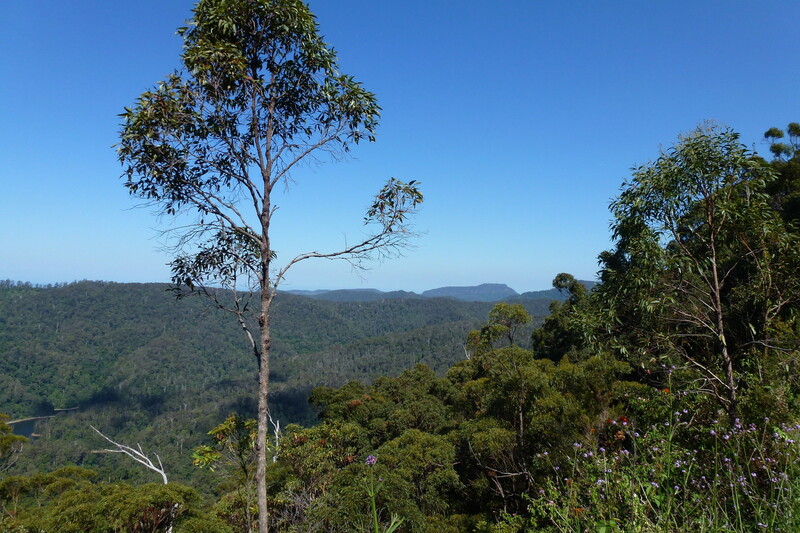 The park is part of the Scenic Rim Important Bird Area, identified as such by BirdLife International because of its importance in the conservation of several species of threatened birds.